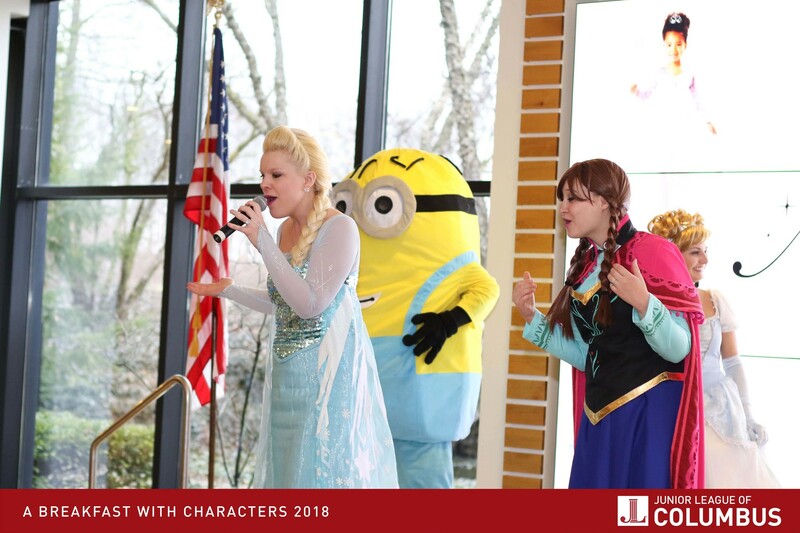 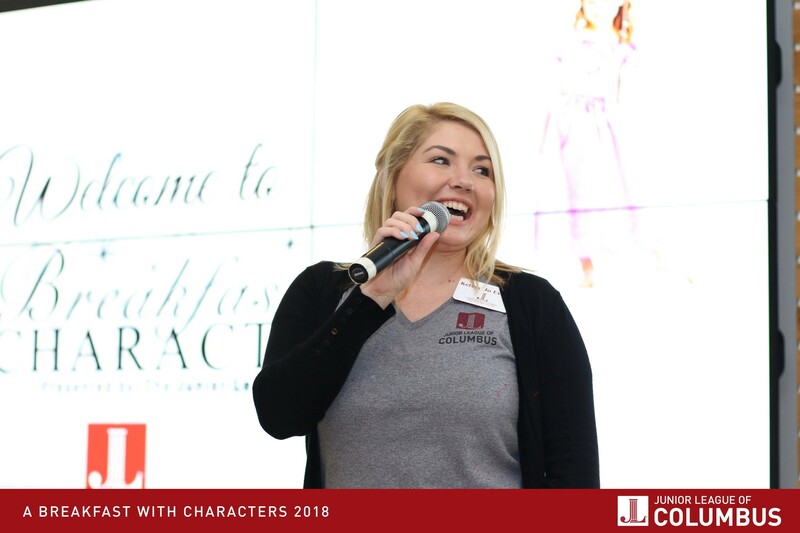 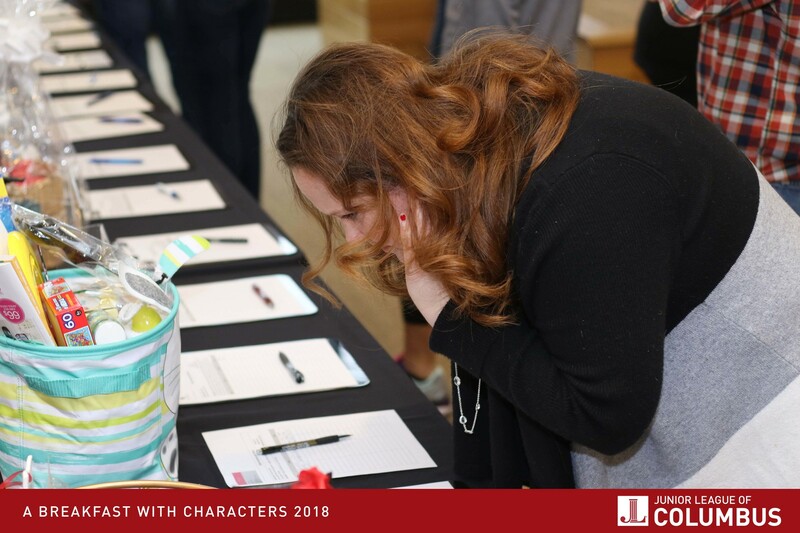 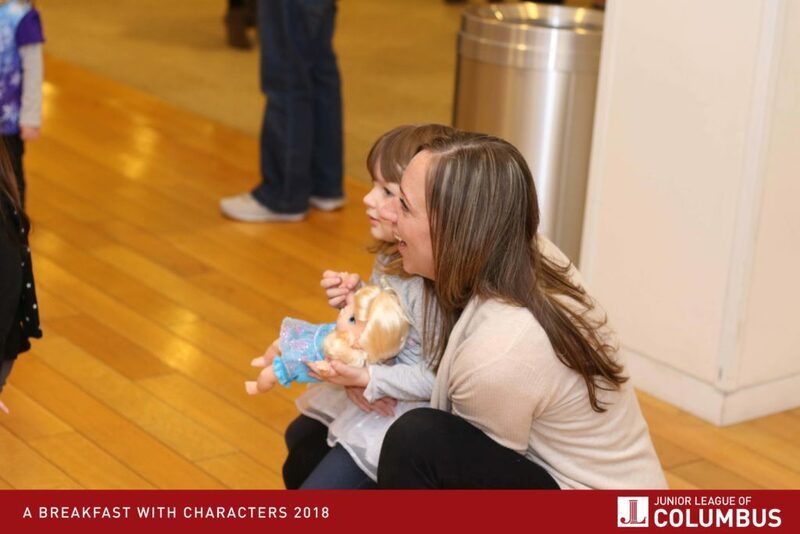 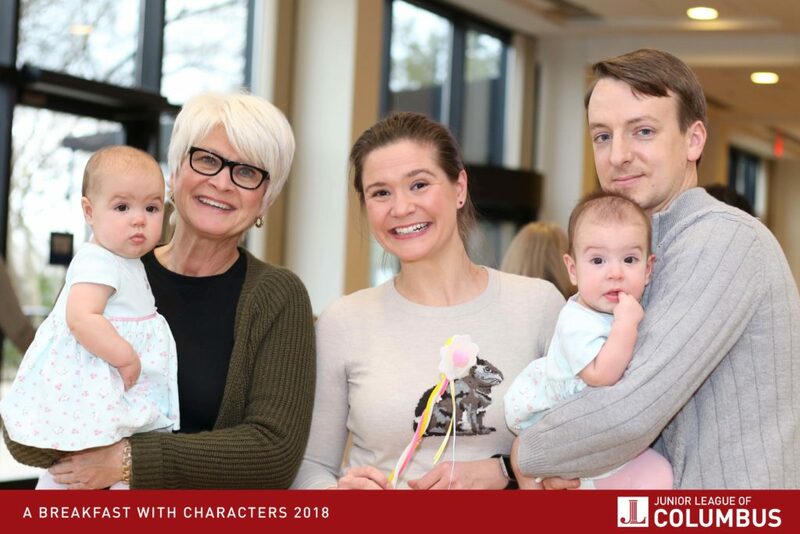 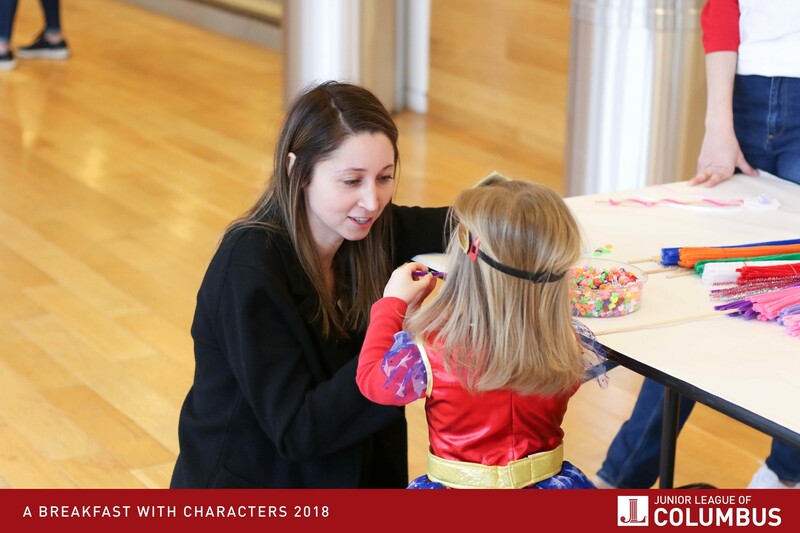 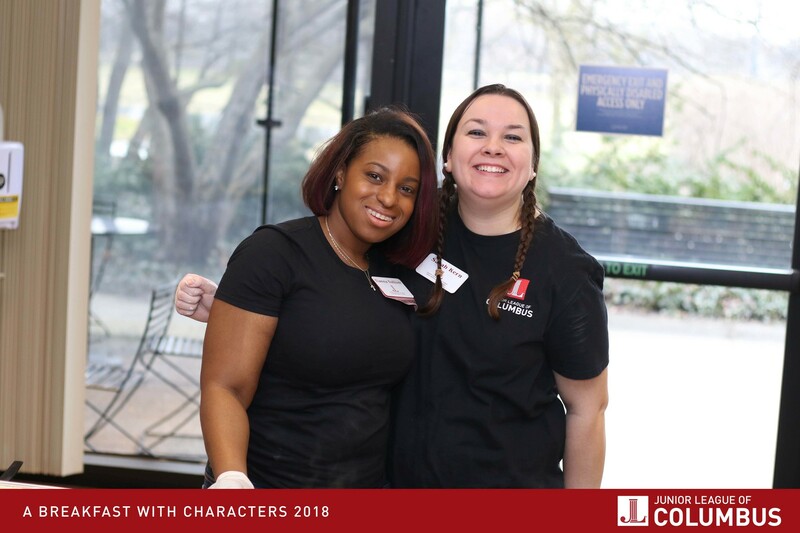 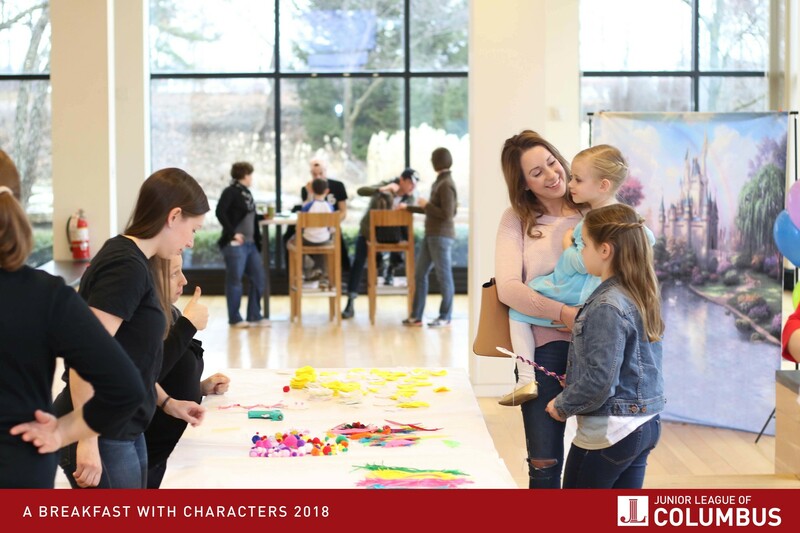 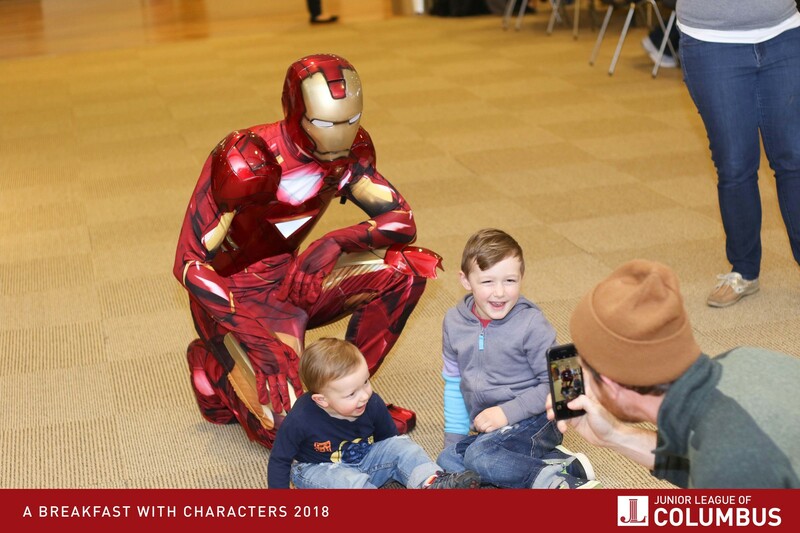 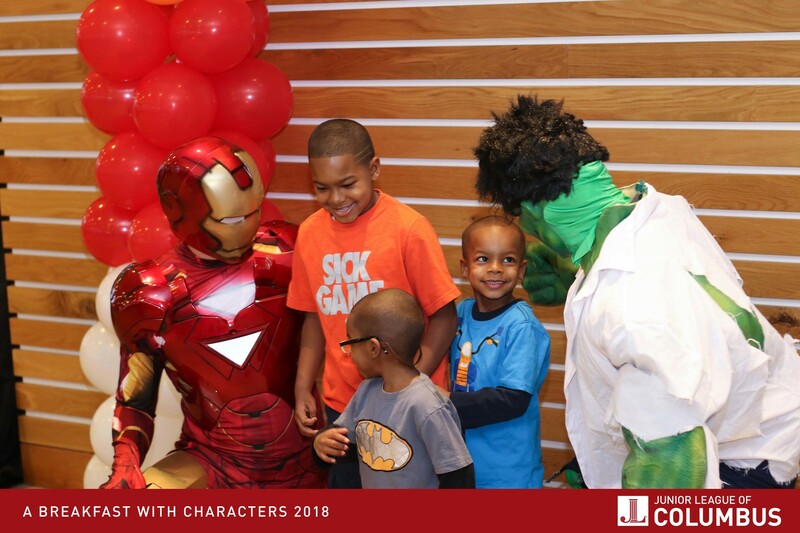 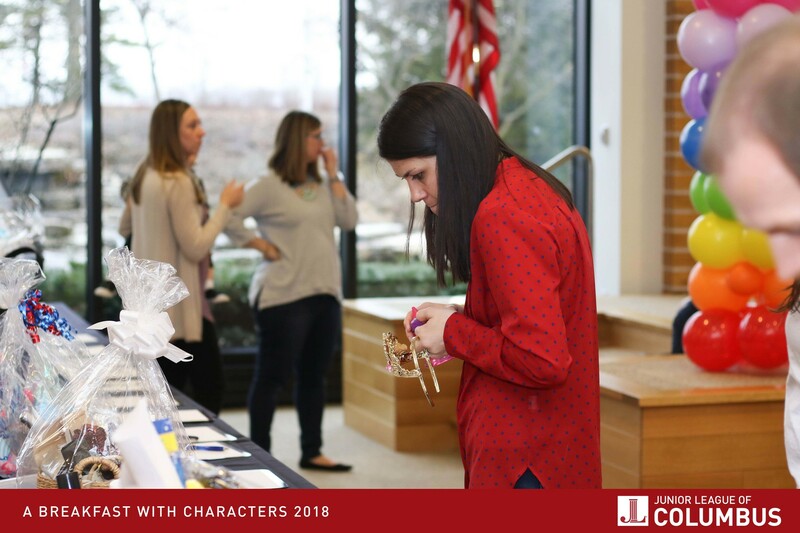 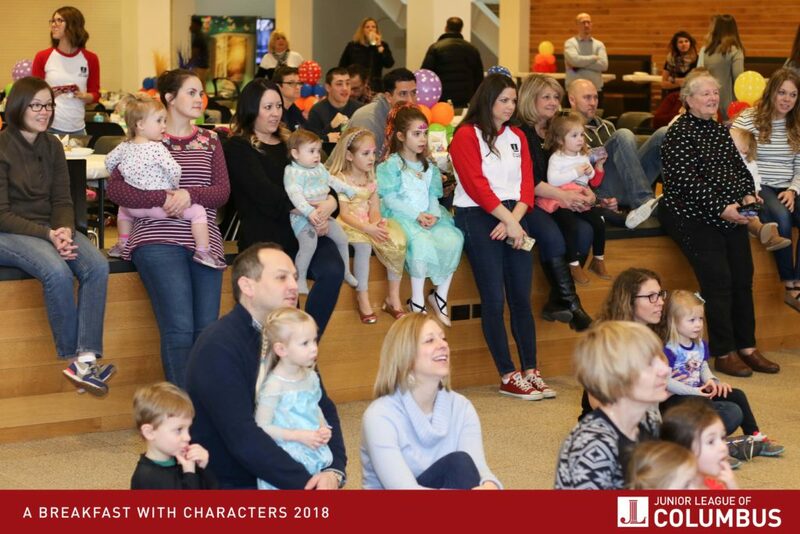 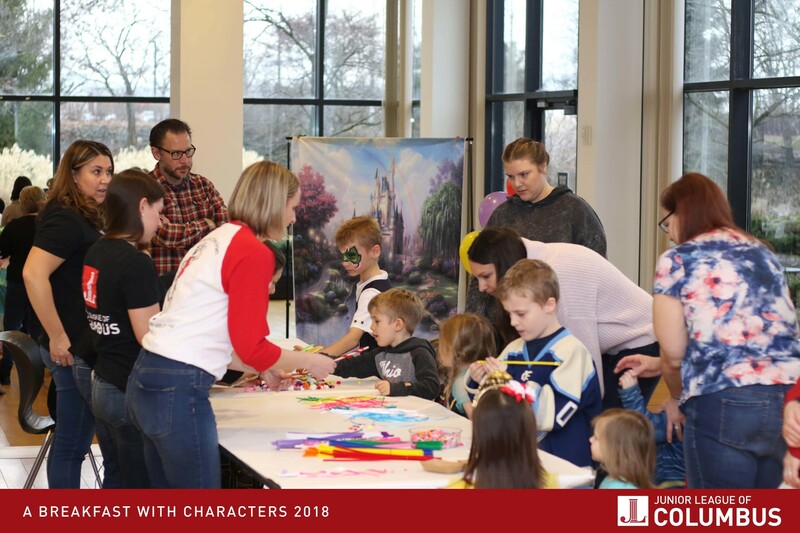 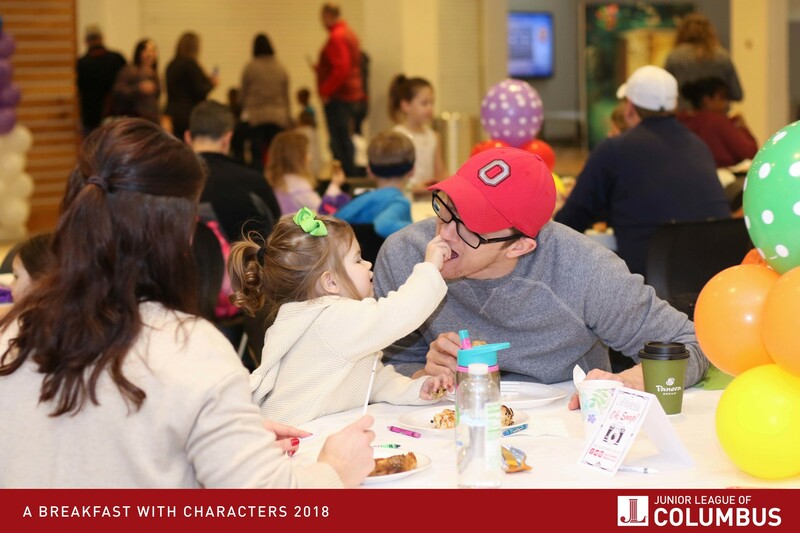 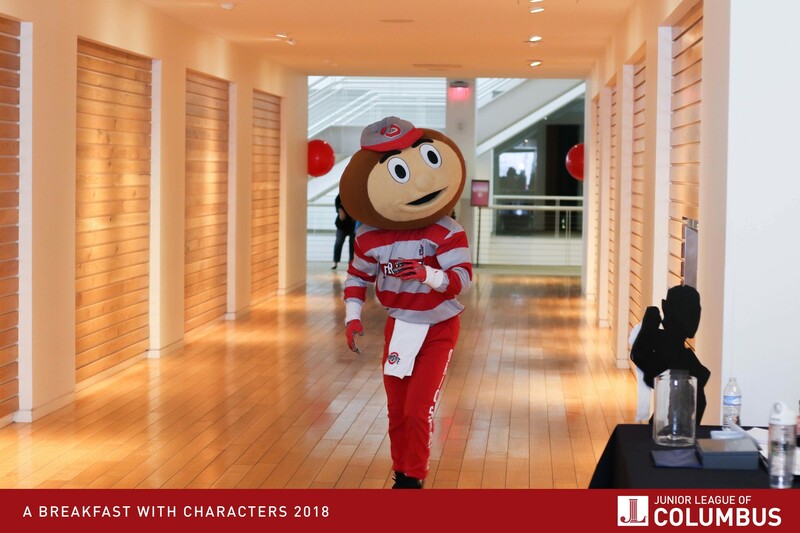 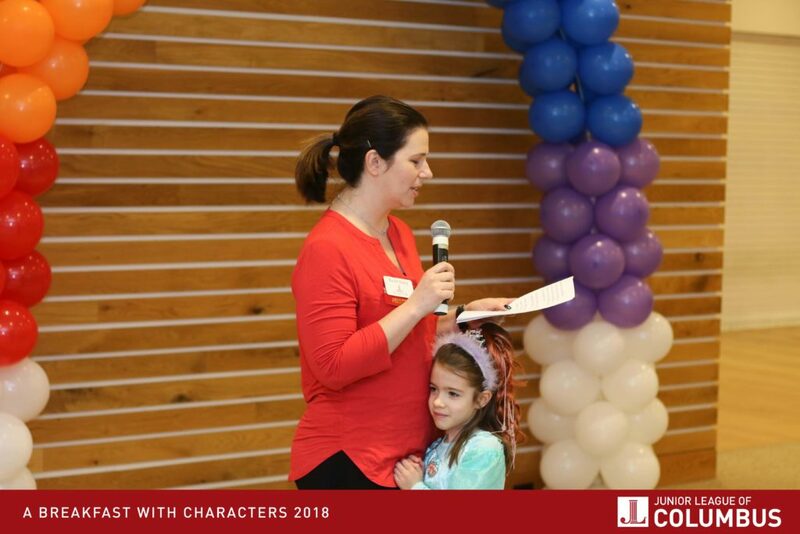 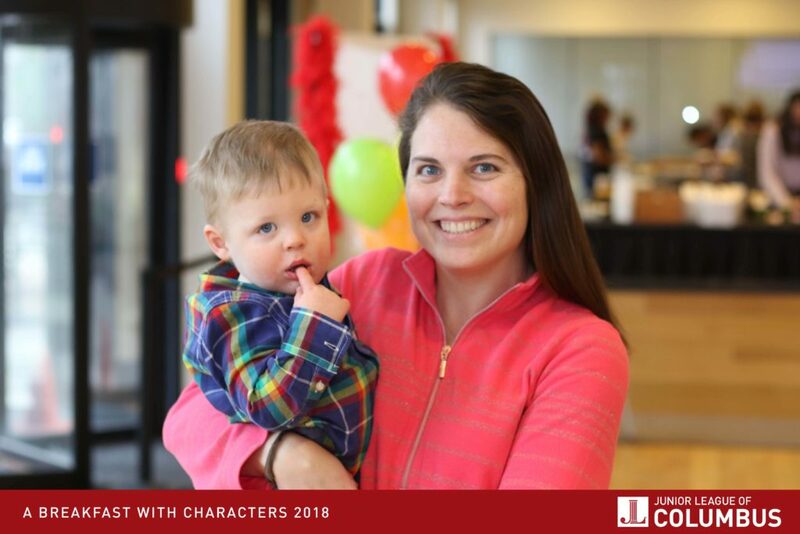 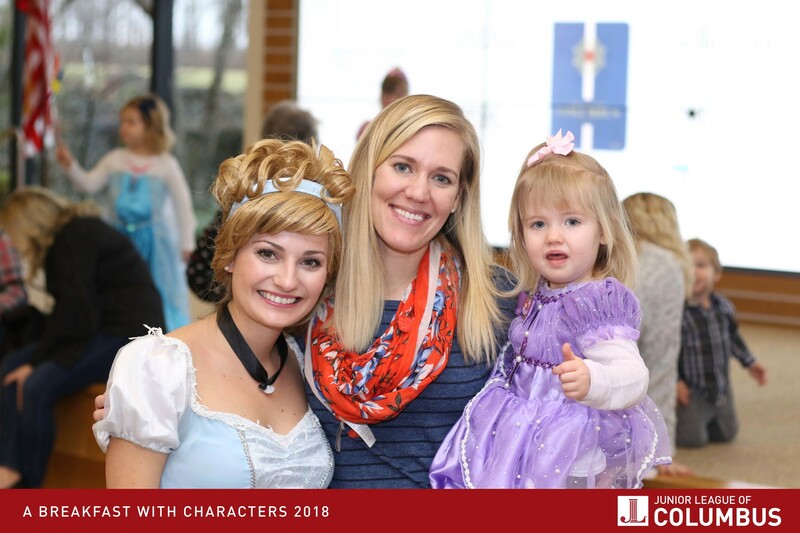 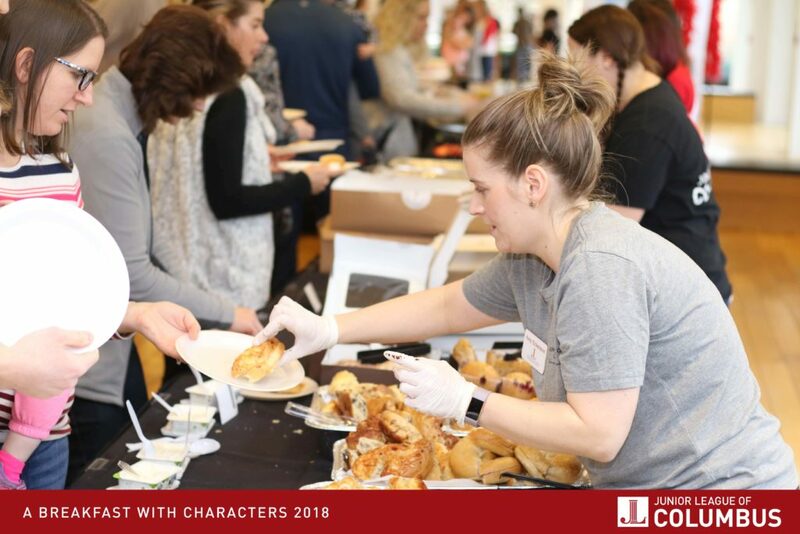 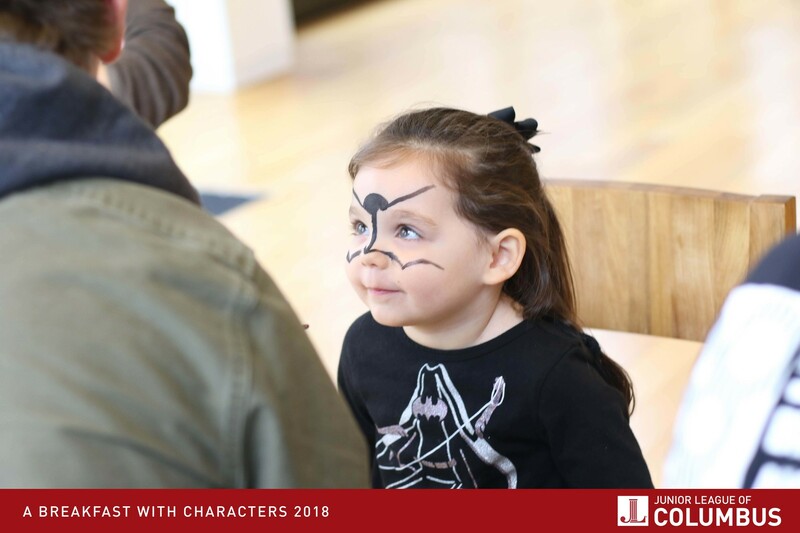 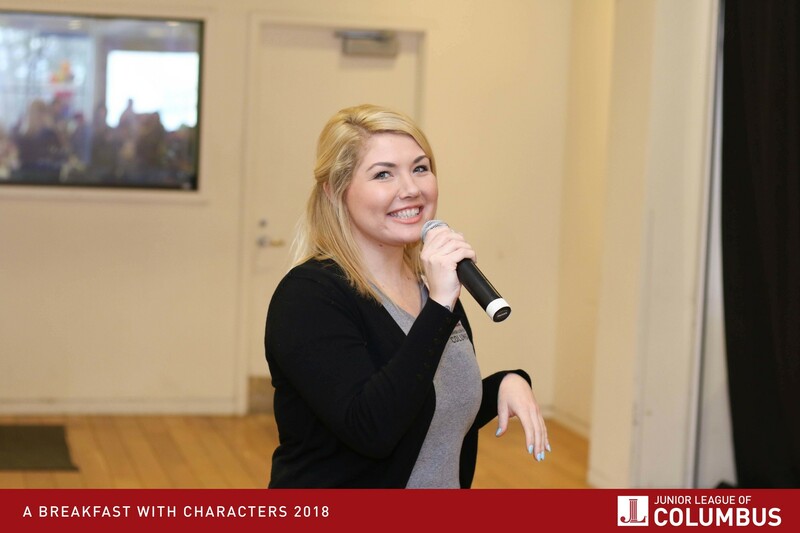 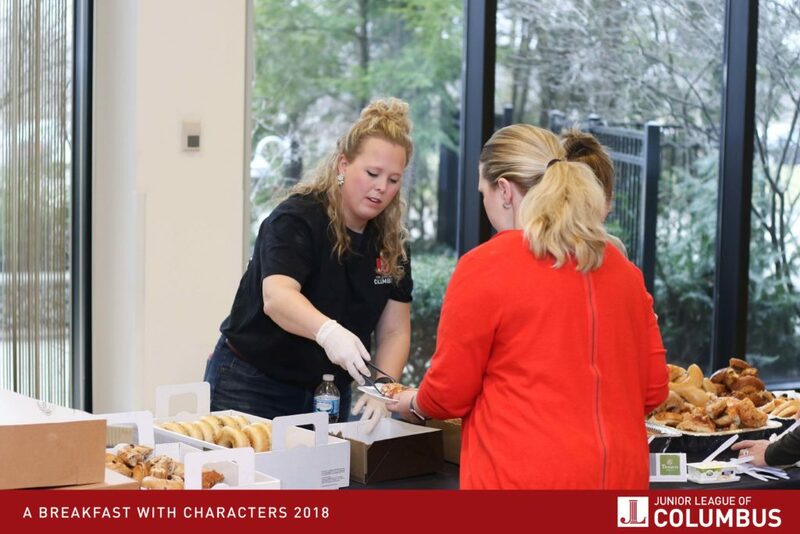 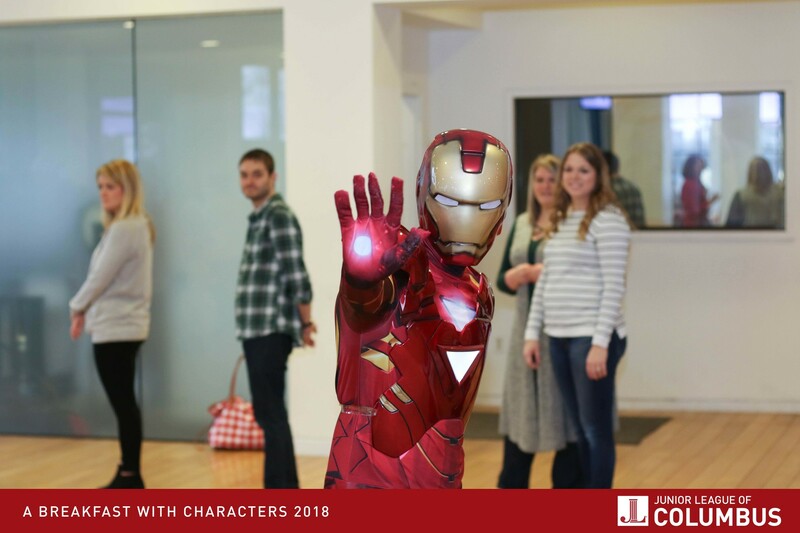 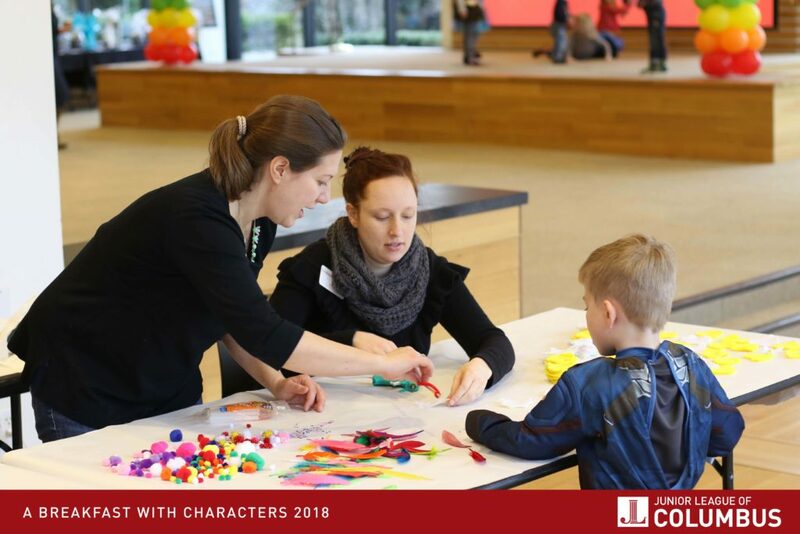 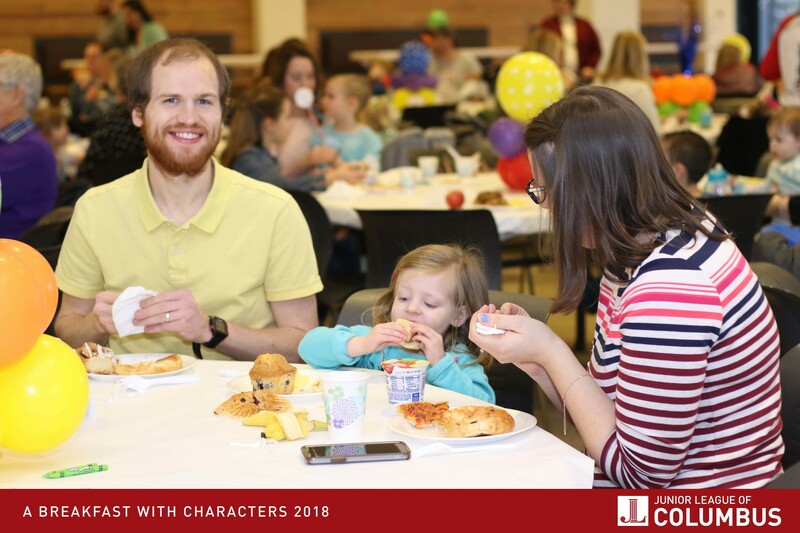 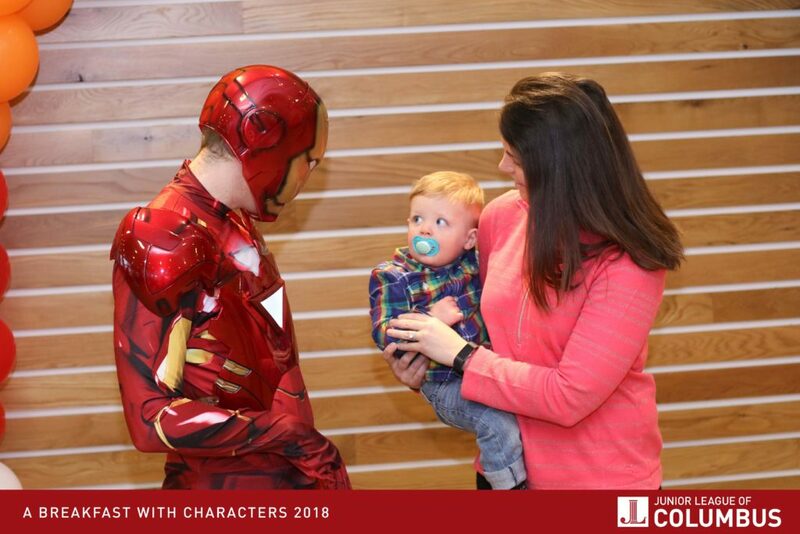 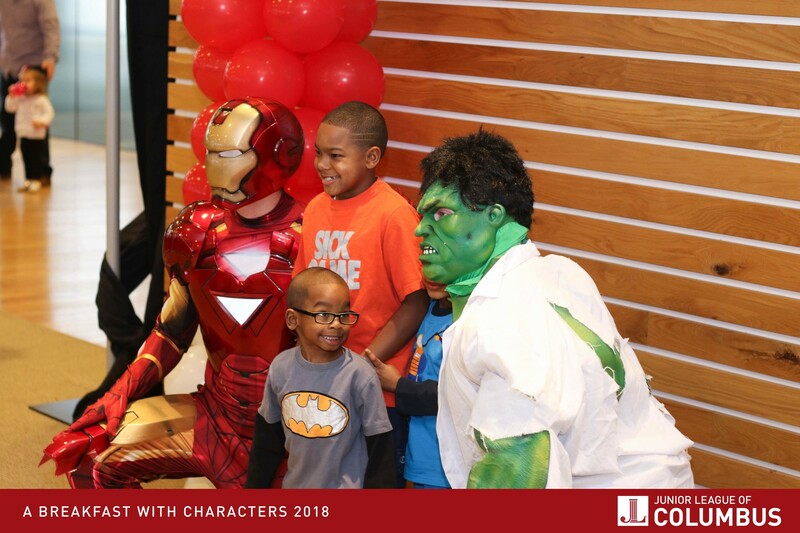 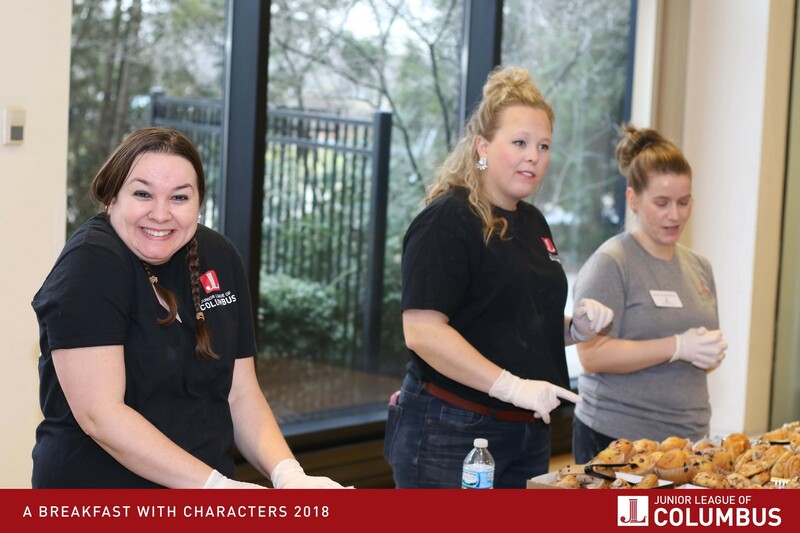 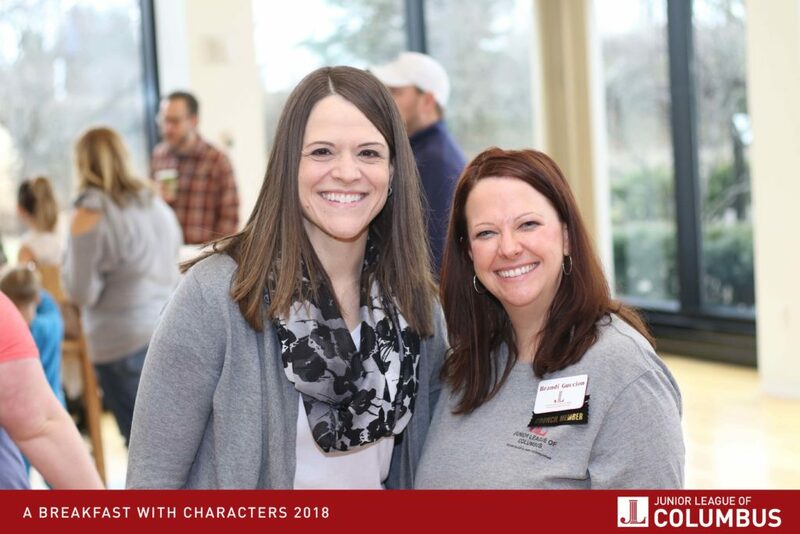 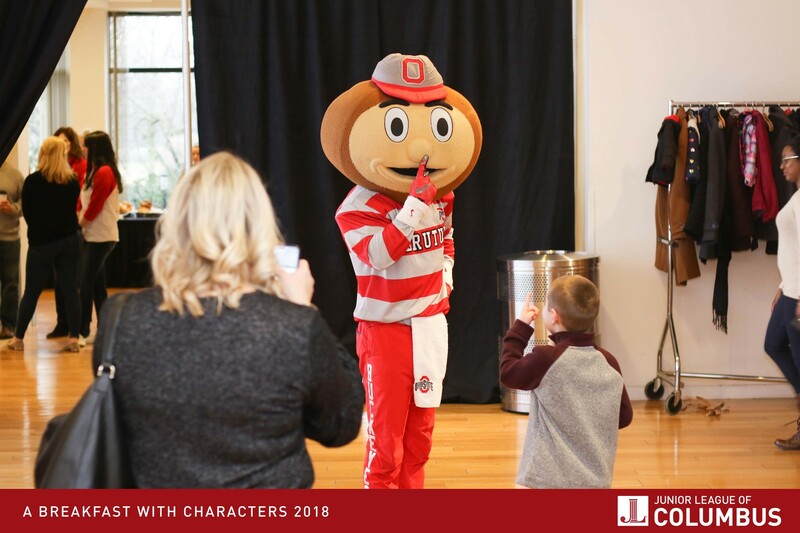 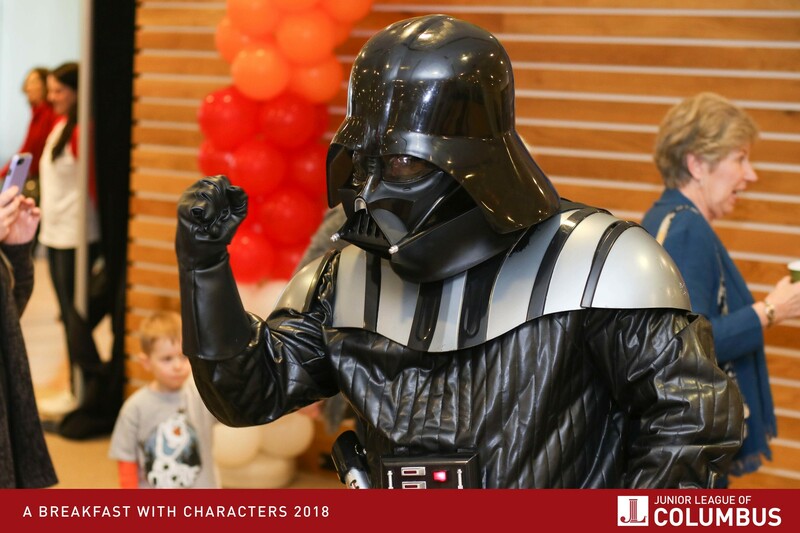 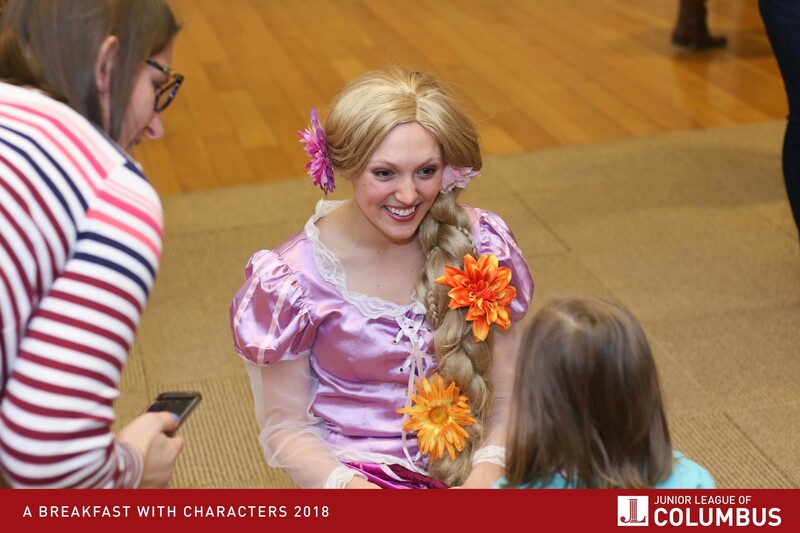 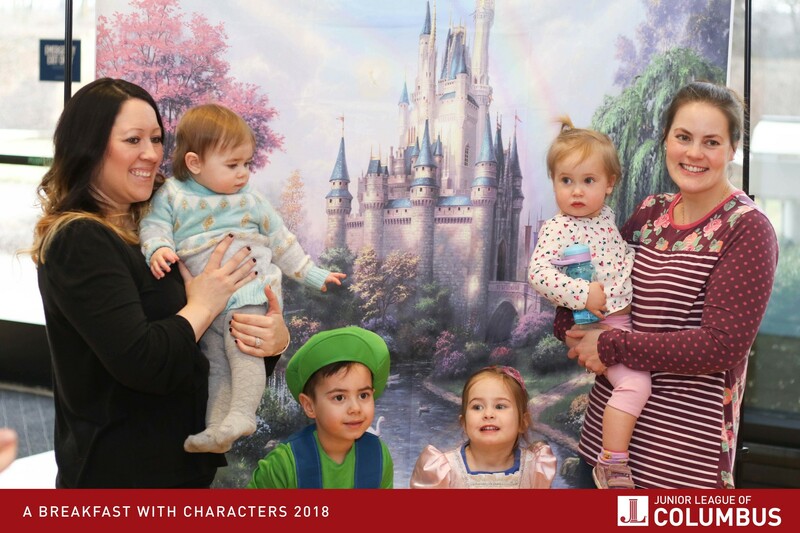 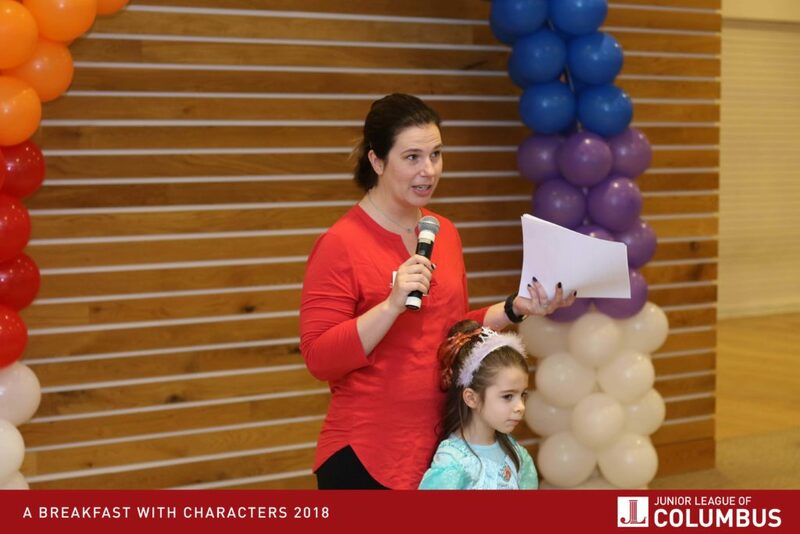 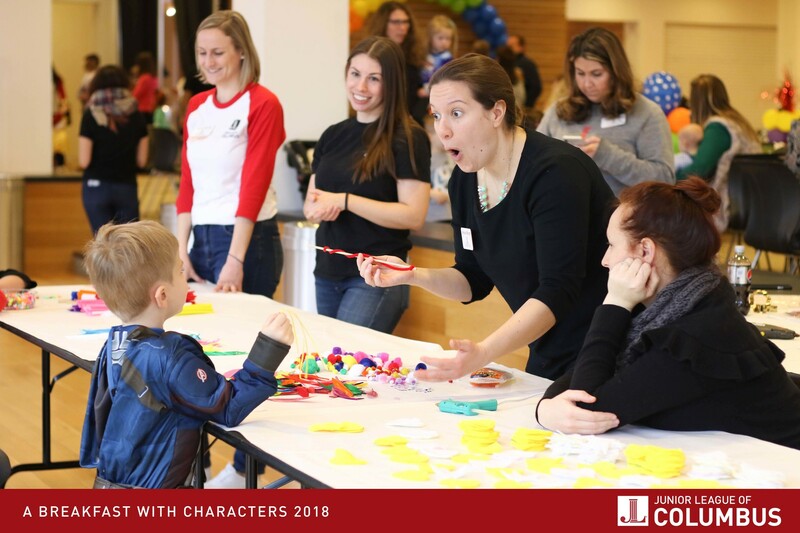 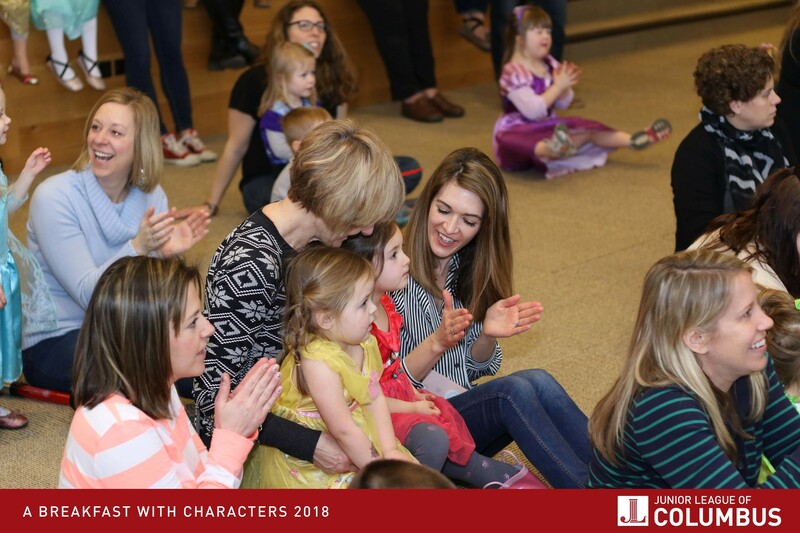 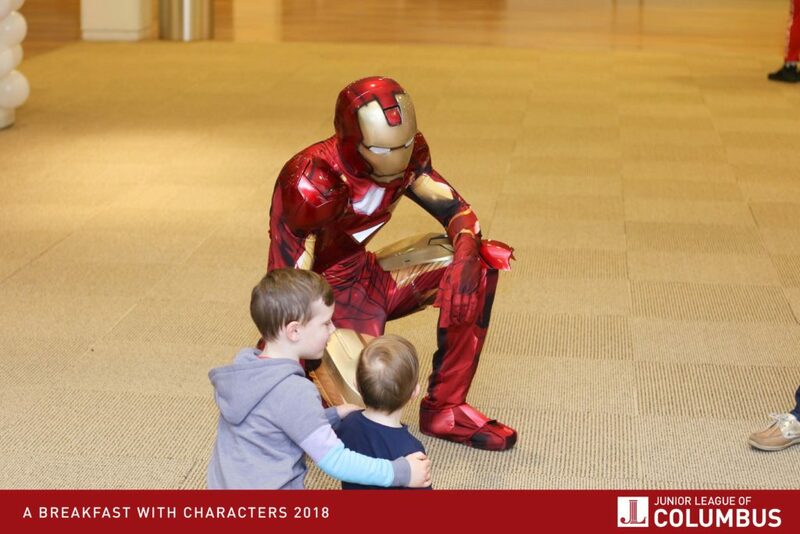 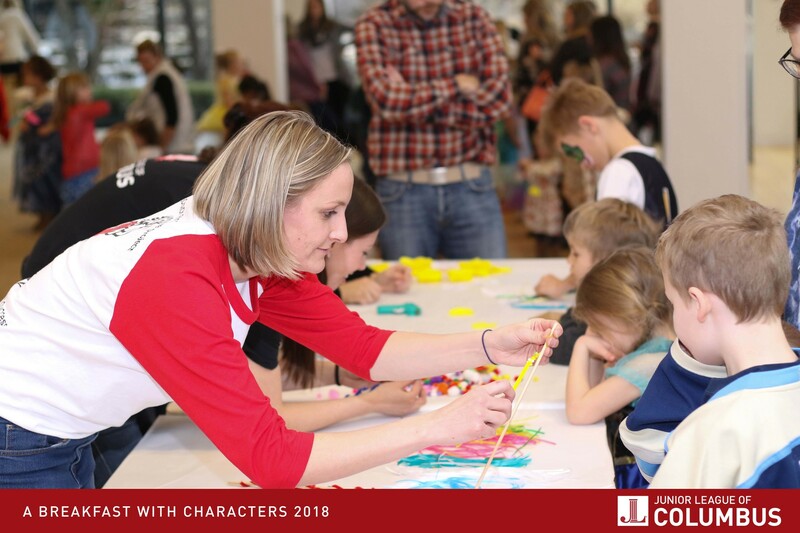 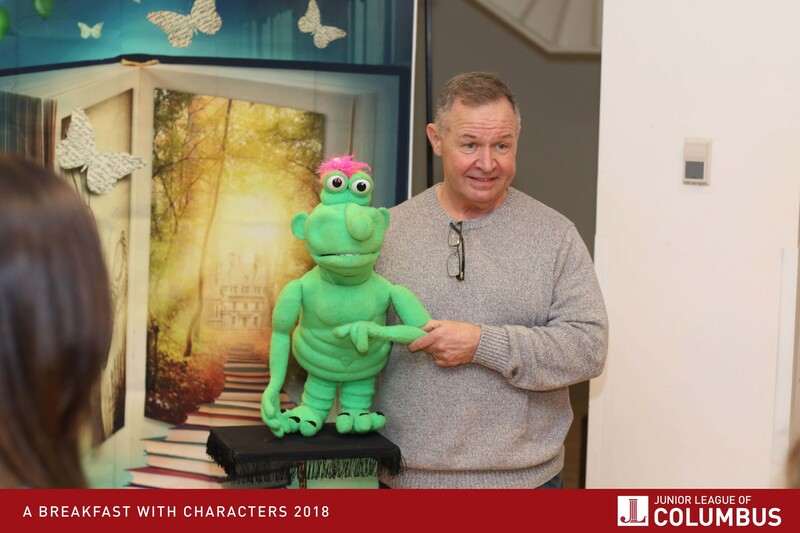 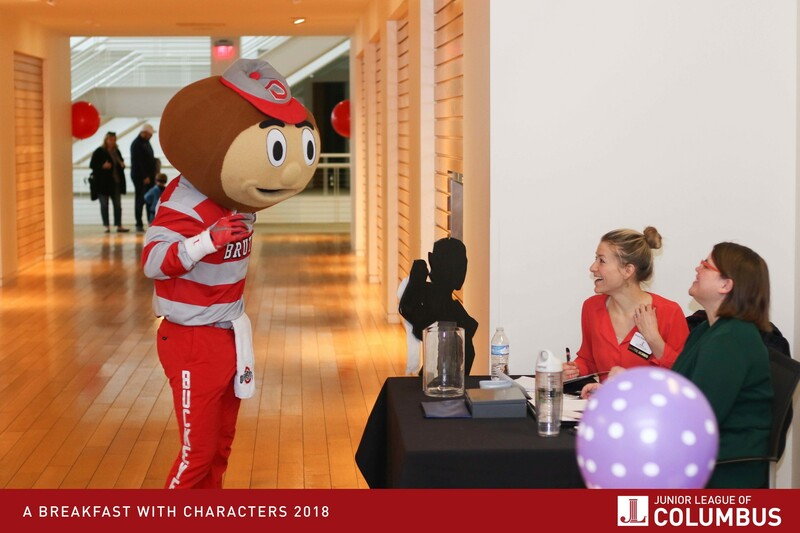 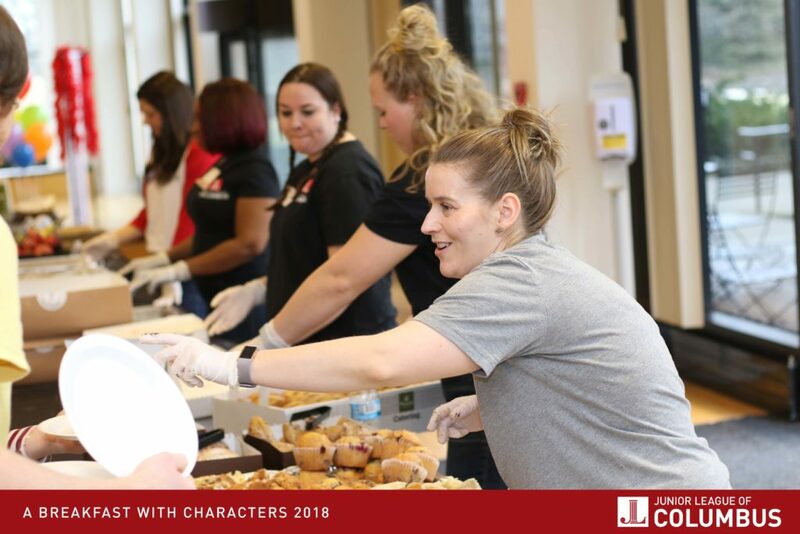 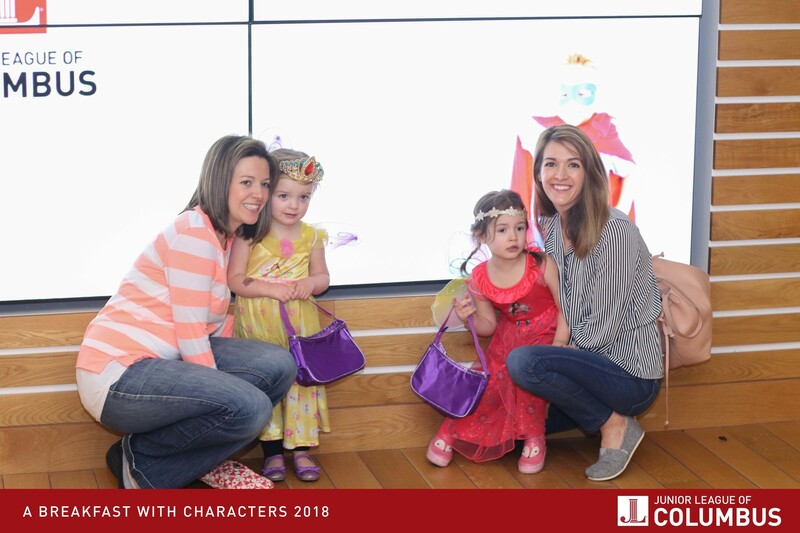 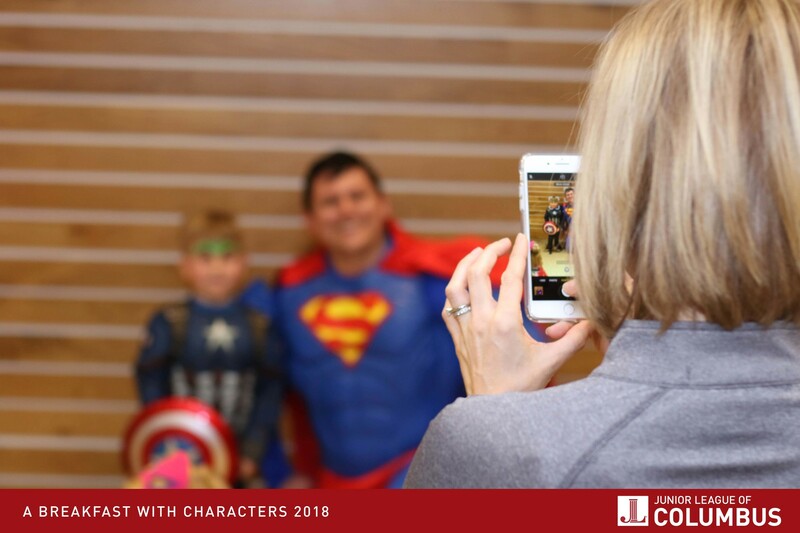 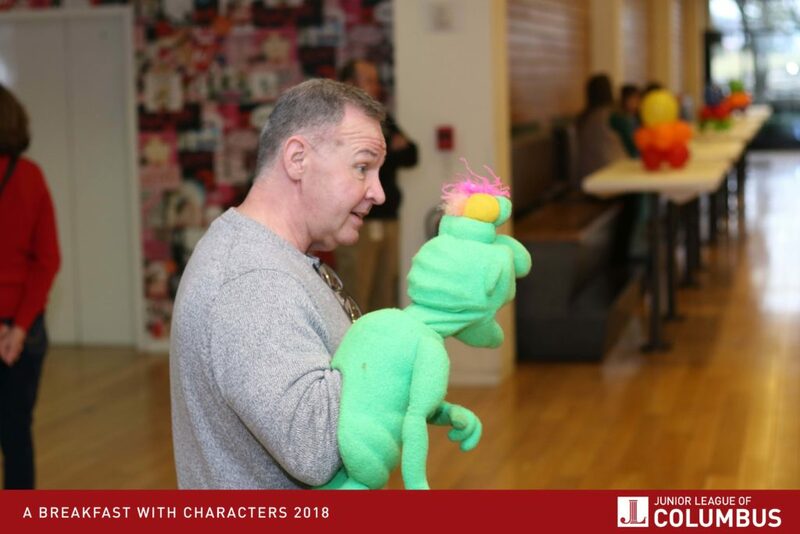 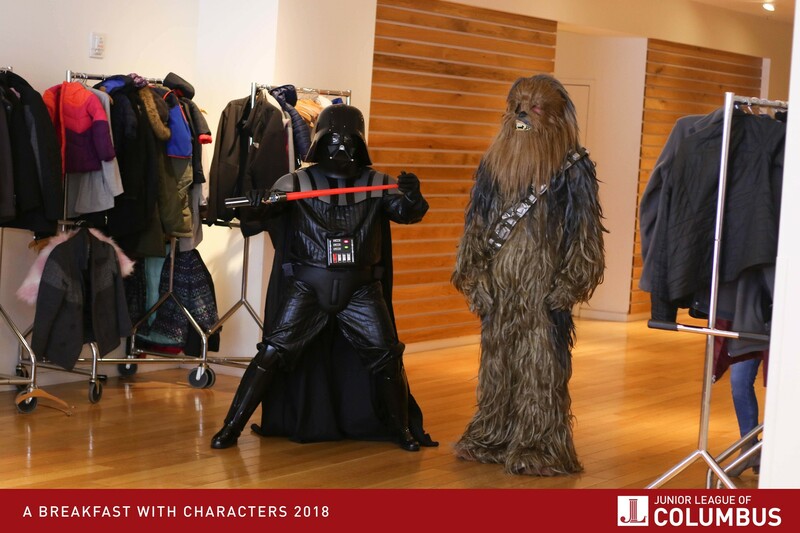 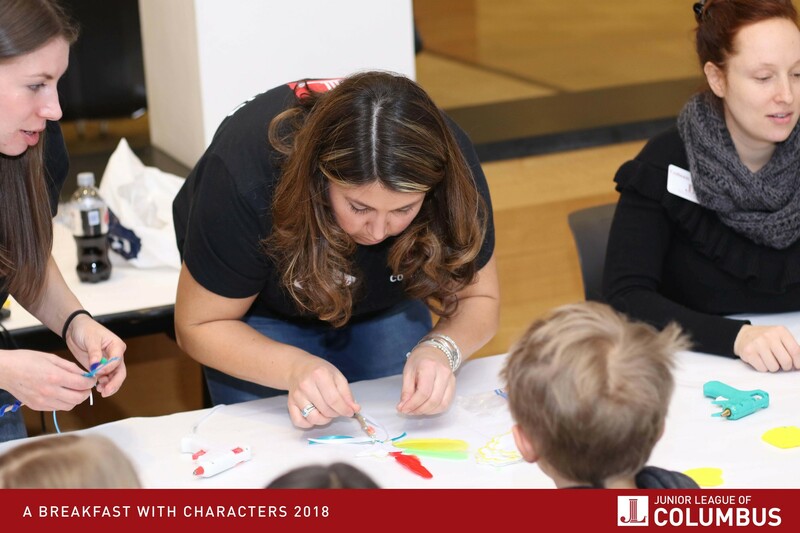 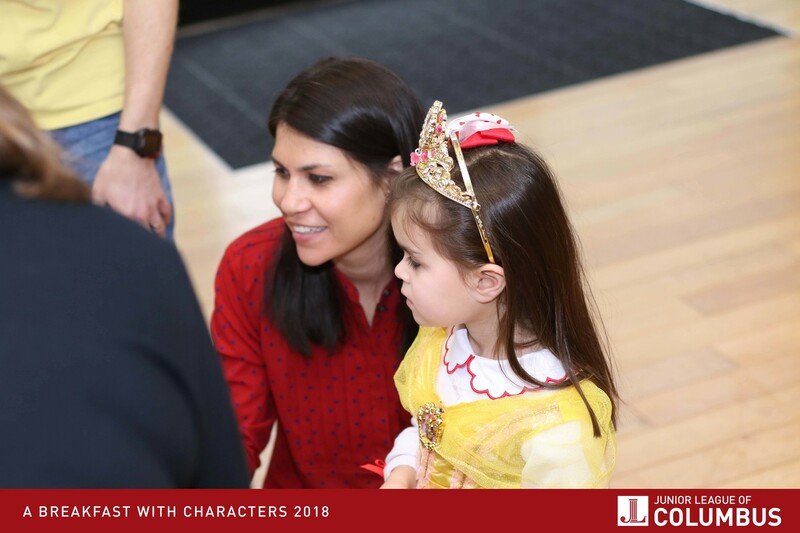 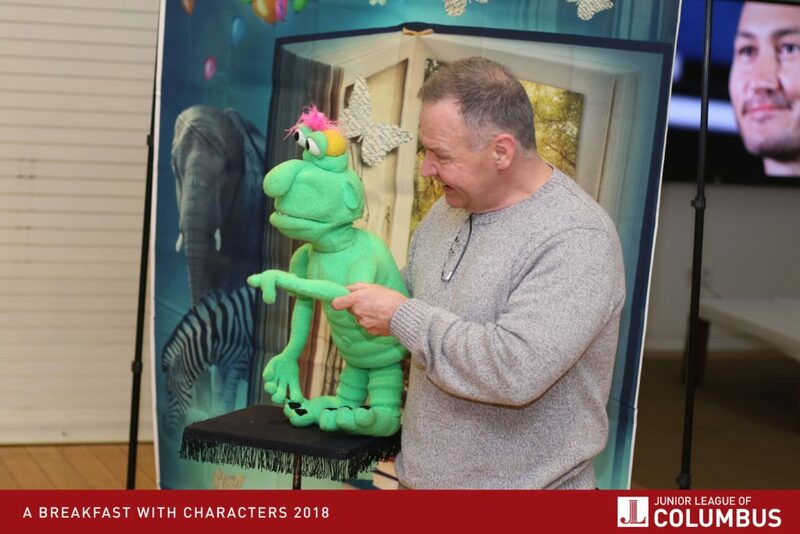 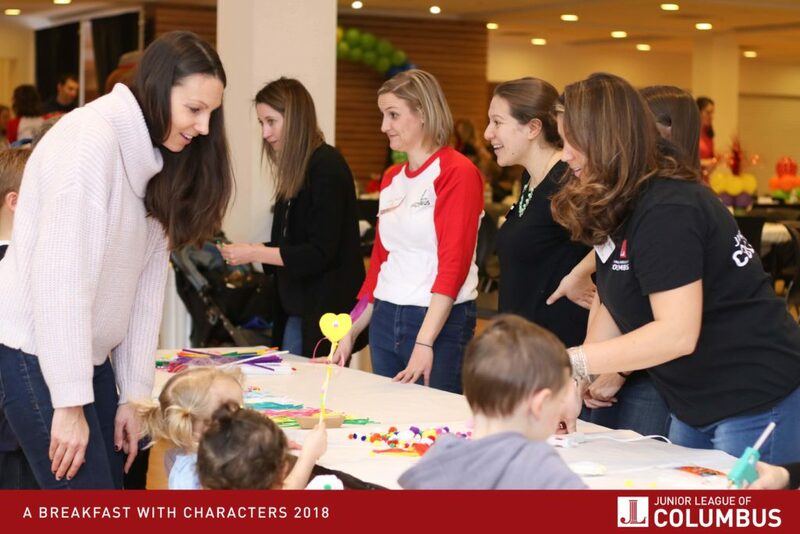 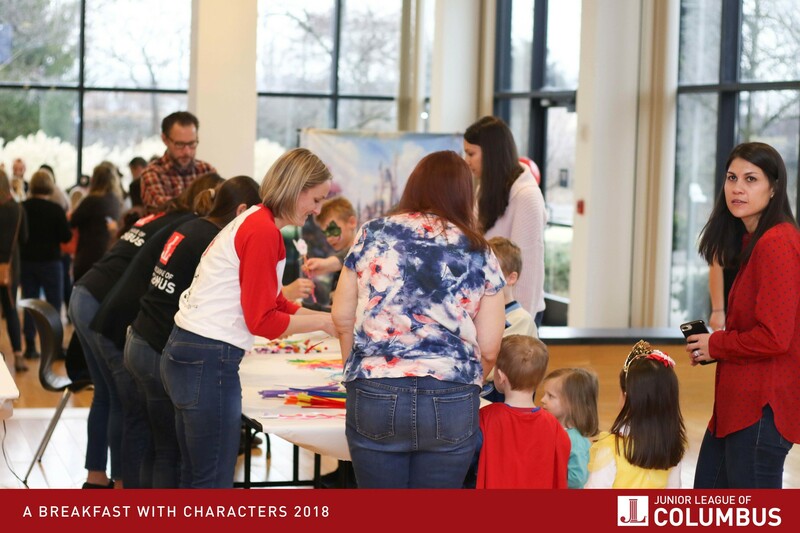 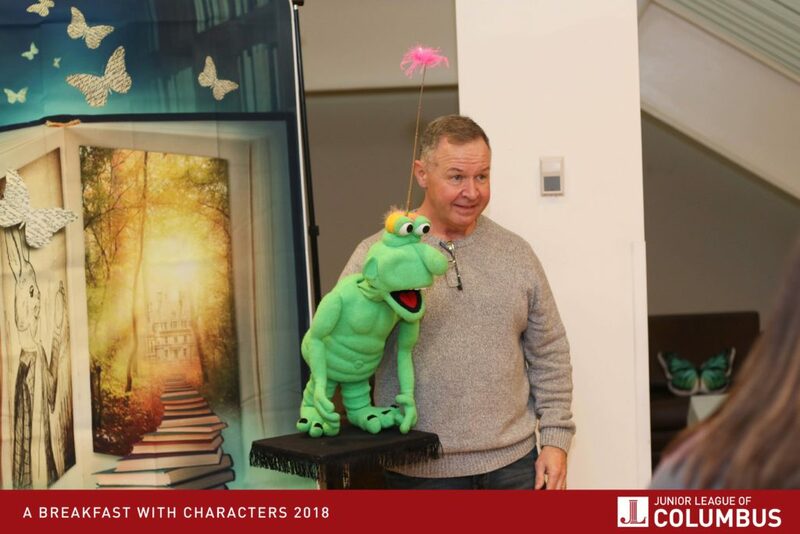 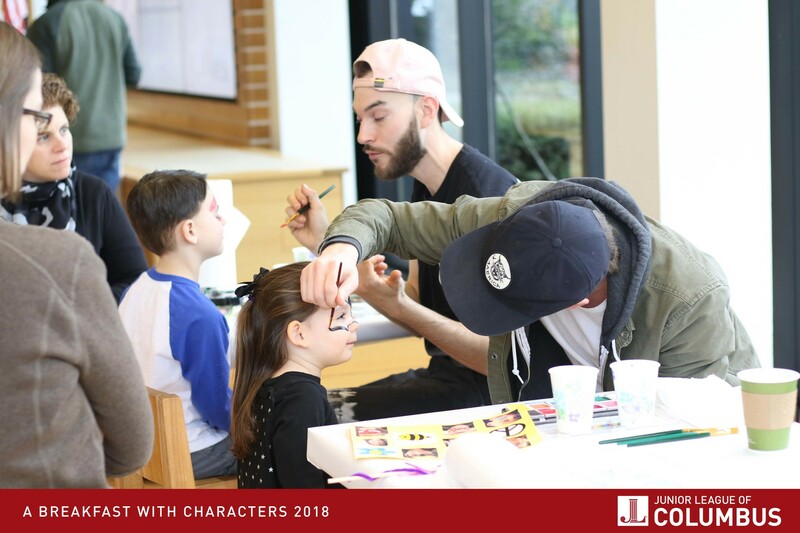 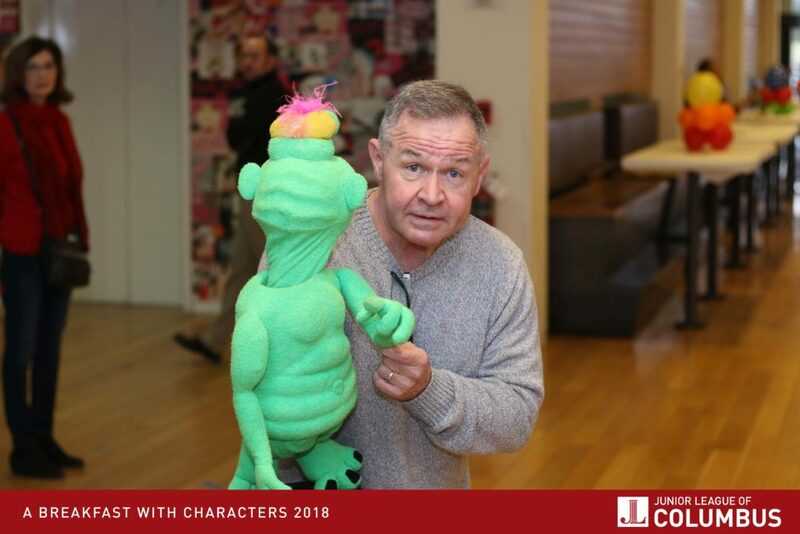 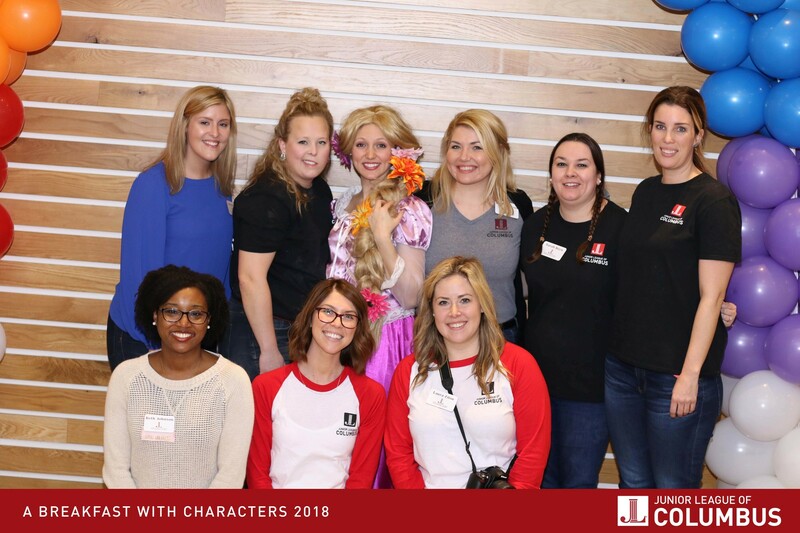 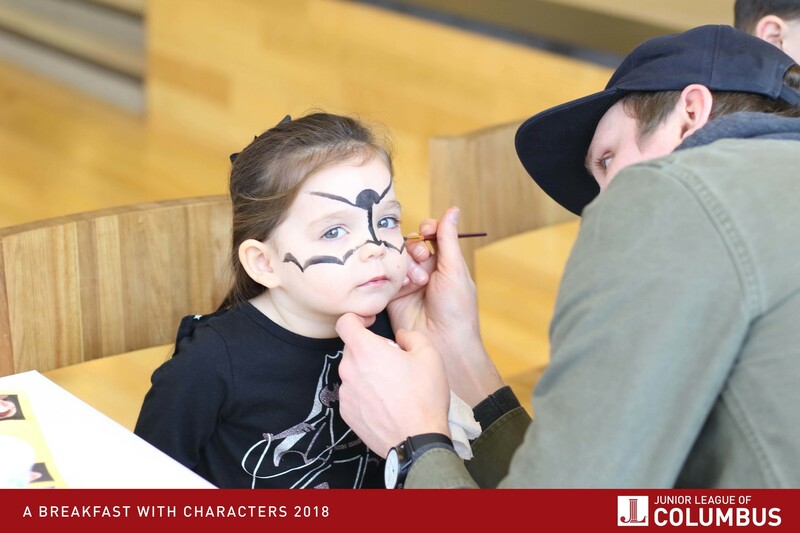 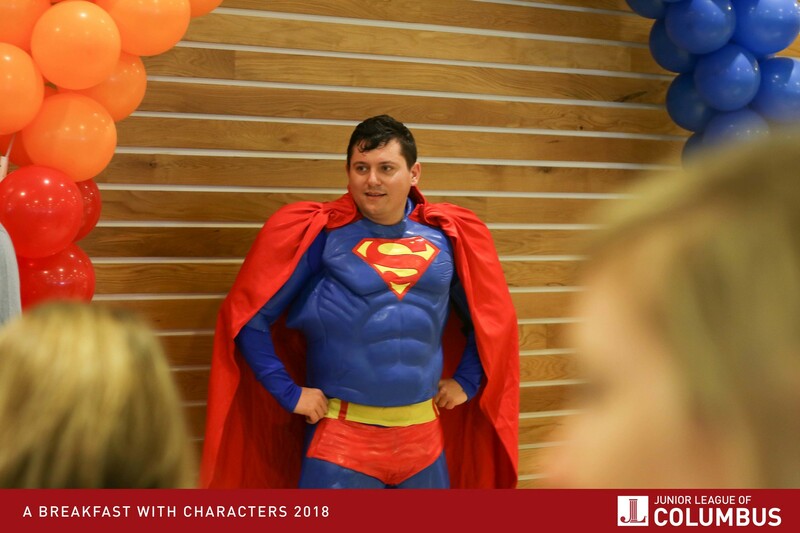 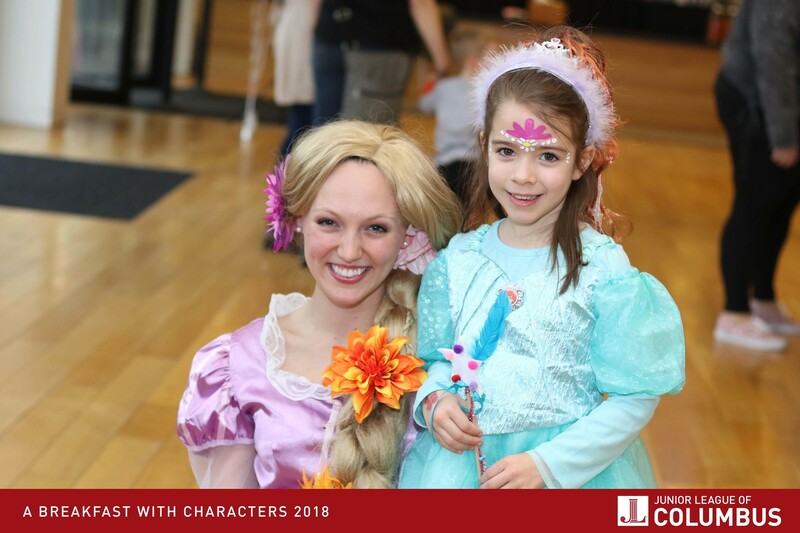 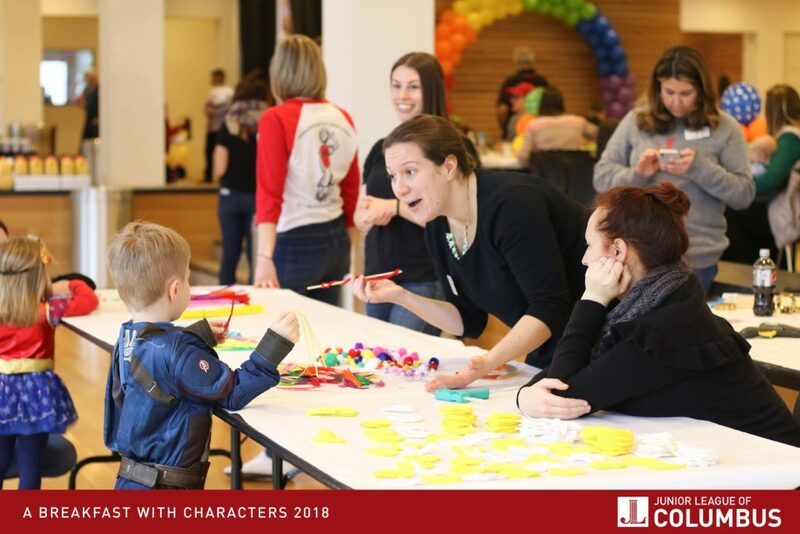 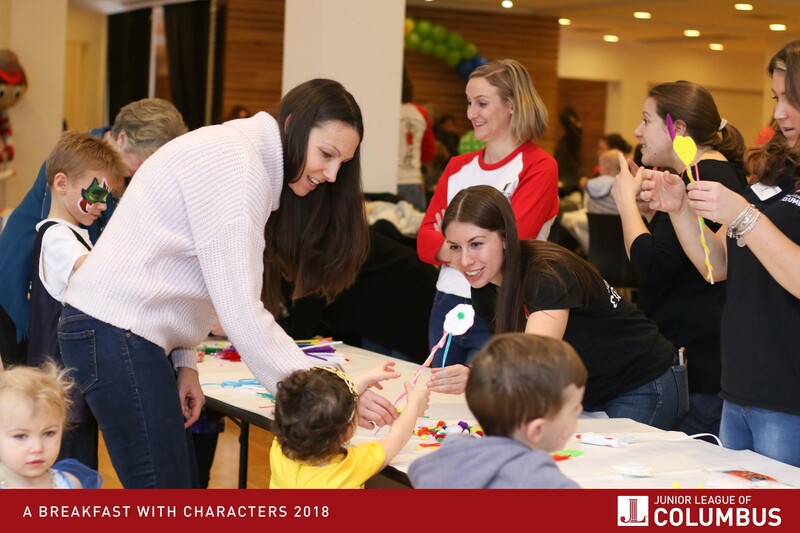 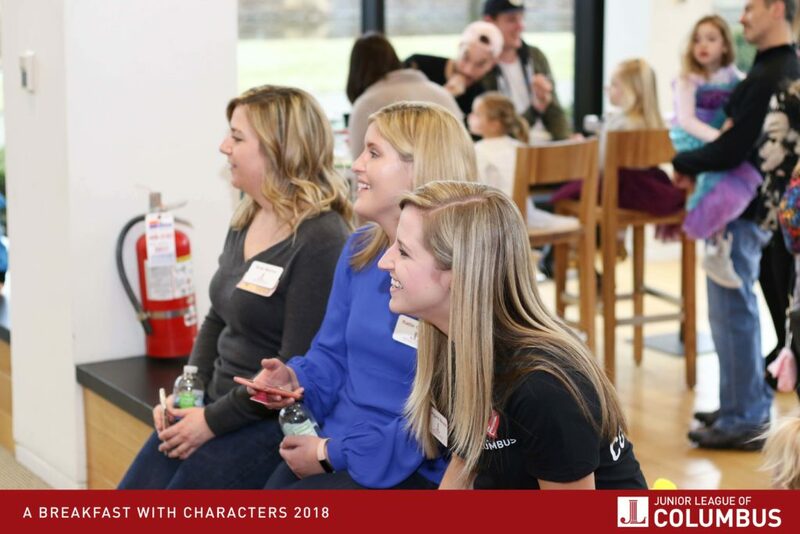 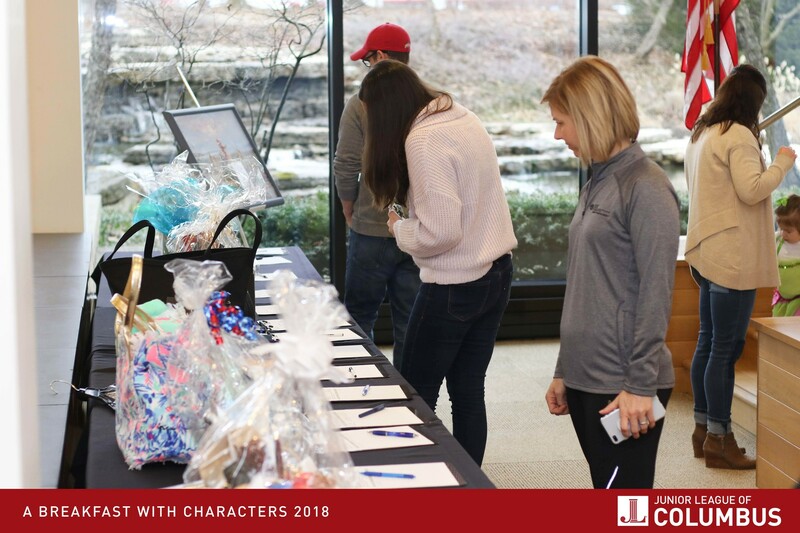 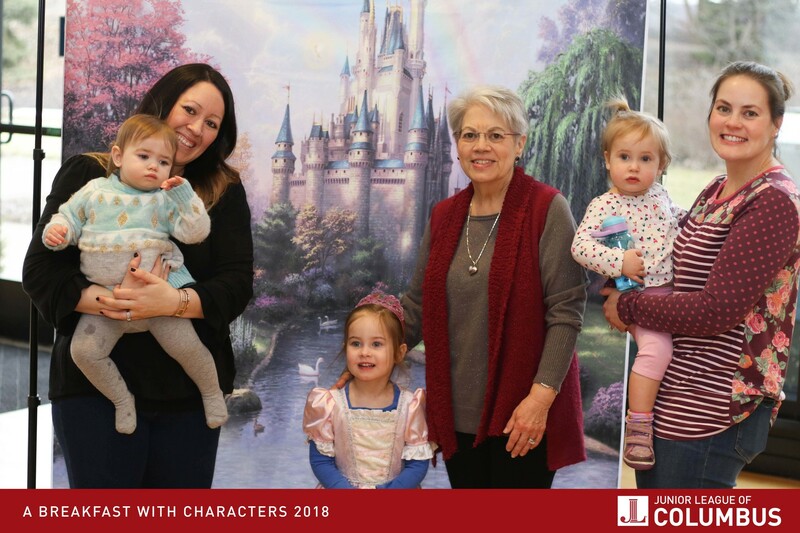 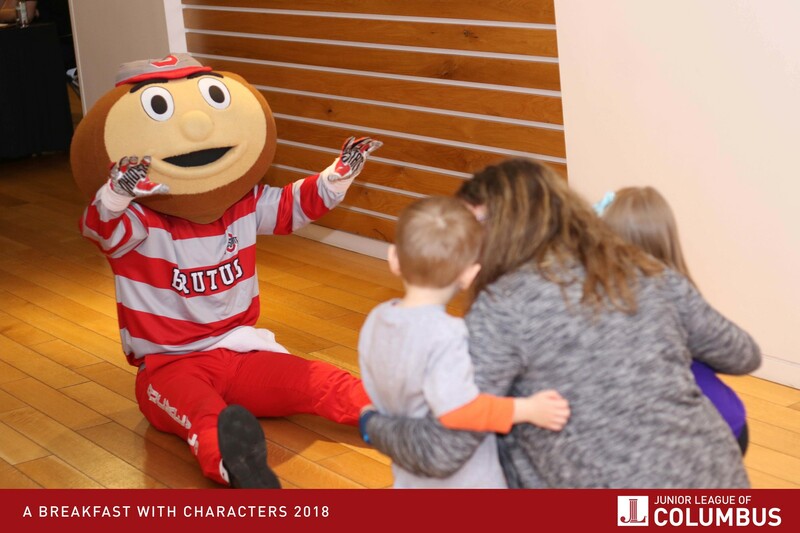 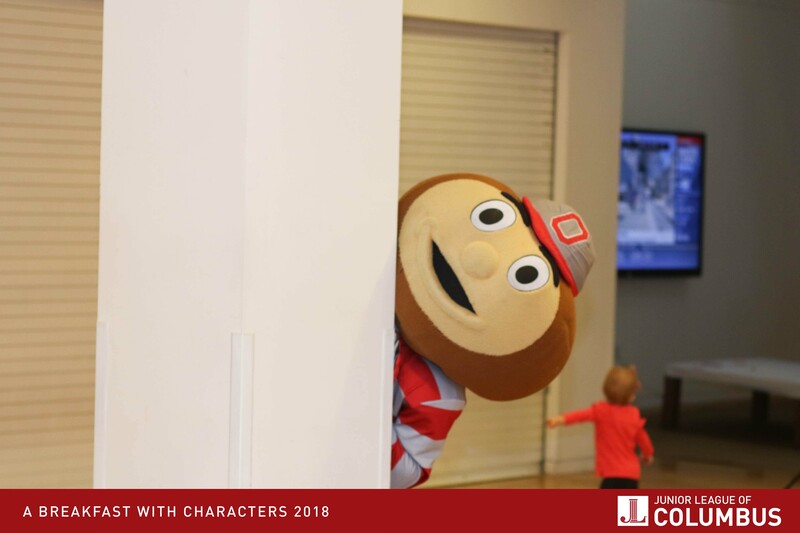 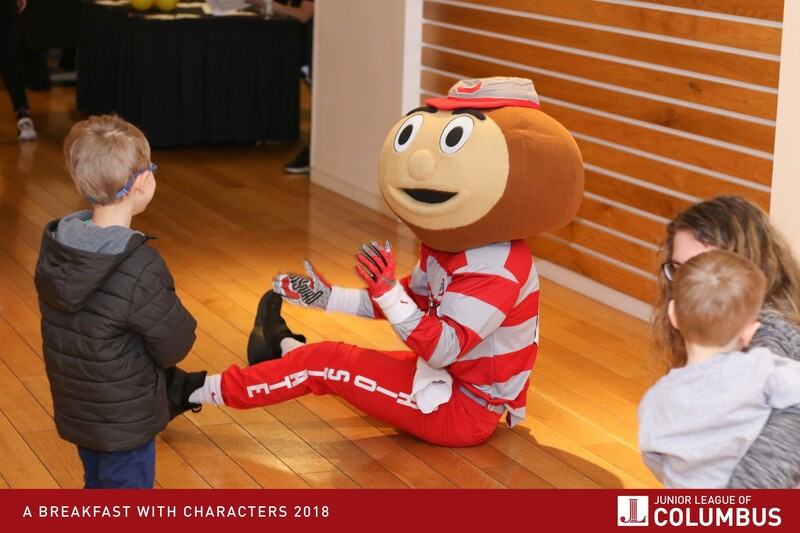 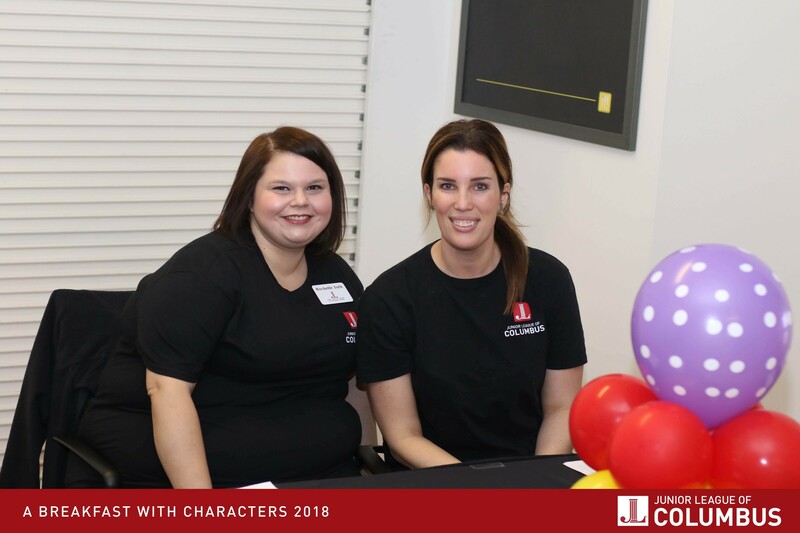 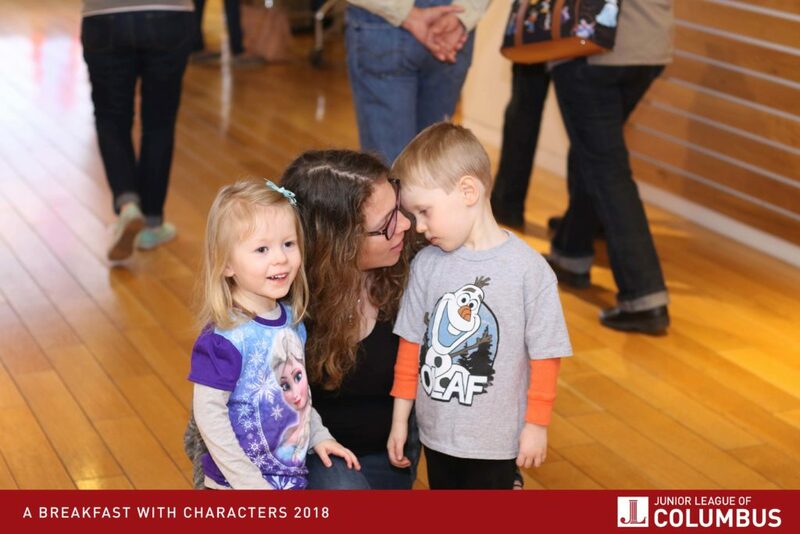 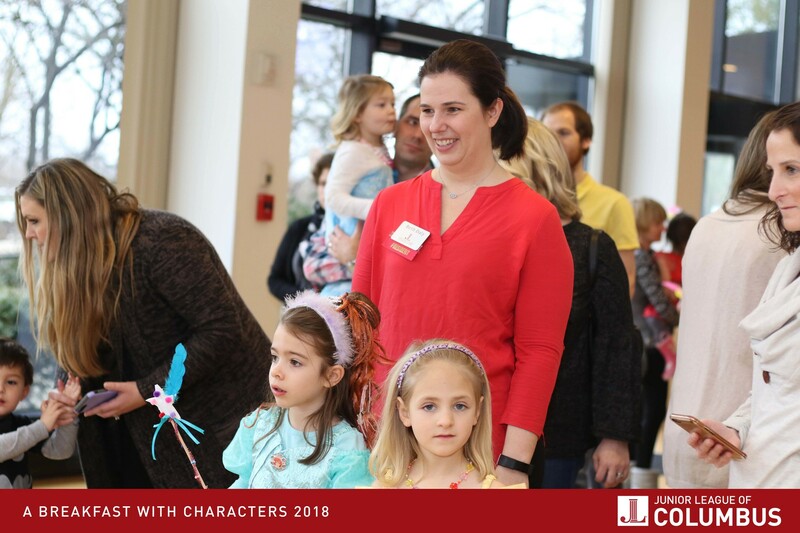 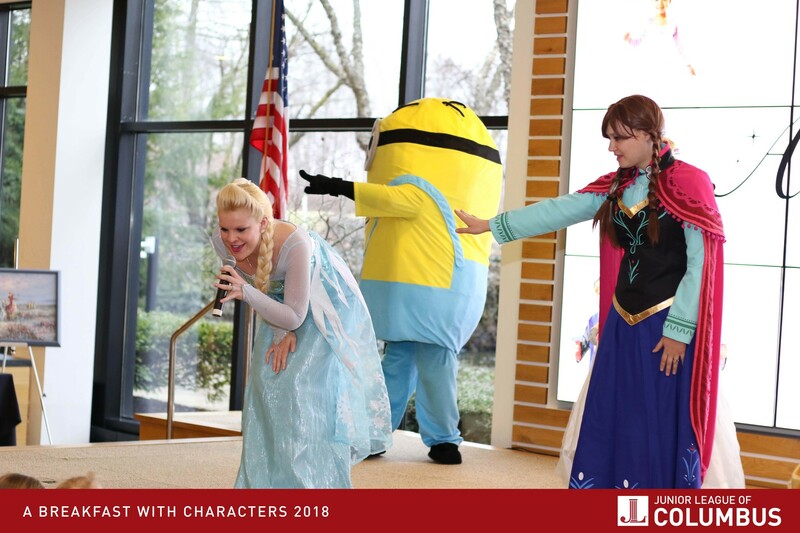 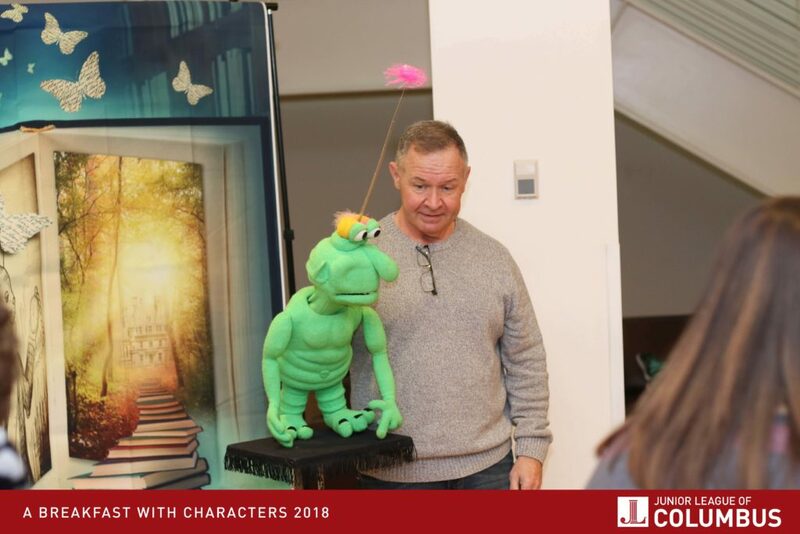 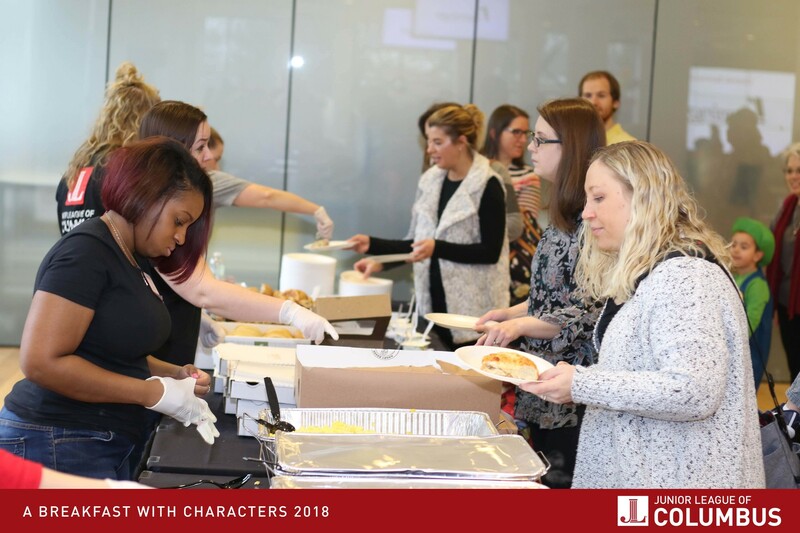 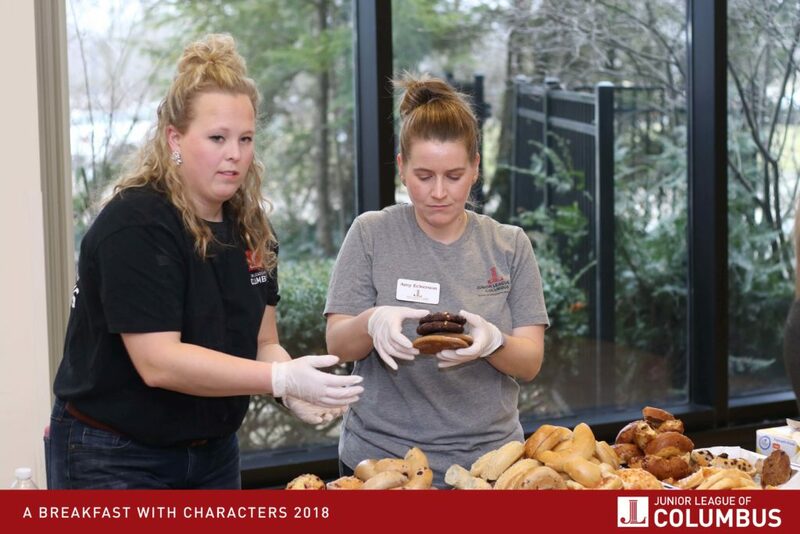 The 2018 ‘A Breakfast with Characters’ took place on L Brand’s campus in their D3 café on Saturday, February 17. 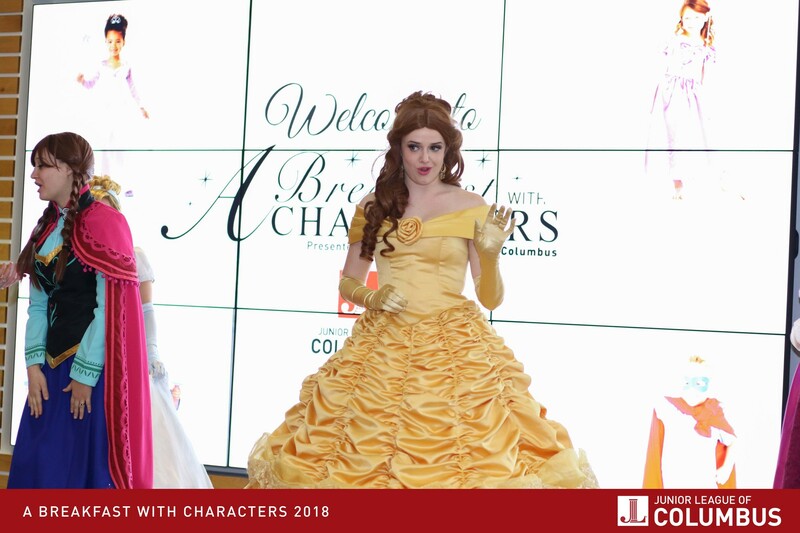 The space was everything the ABwC team could have dreamt for when crafting our day of fun and fantasy for our Columbus area families. 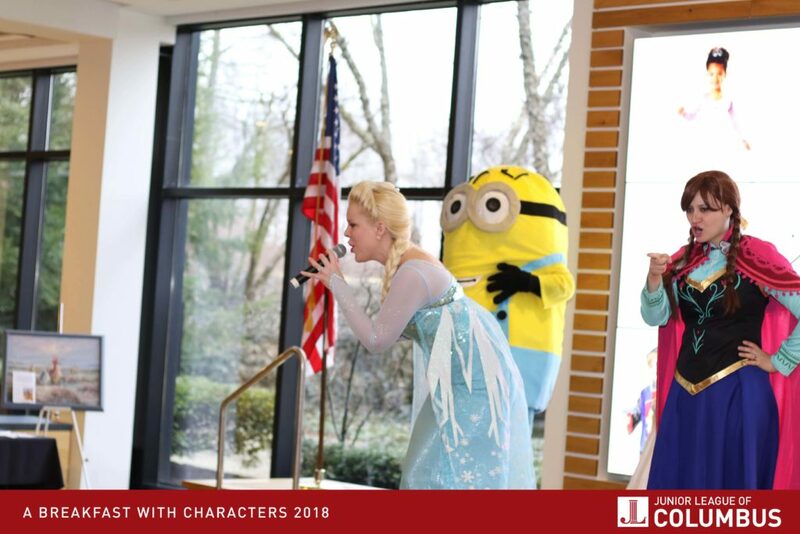 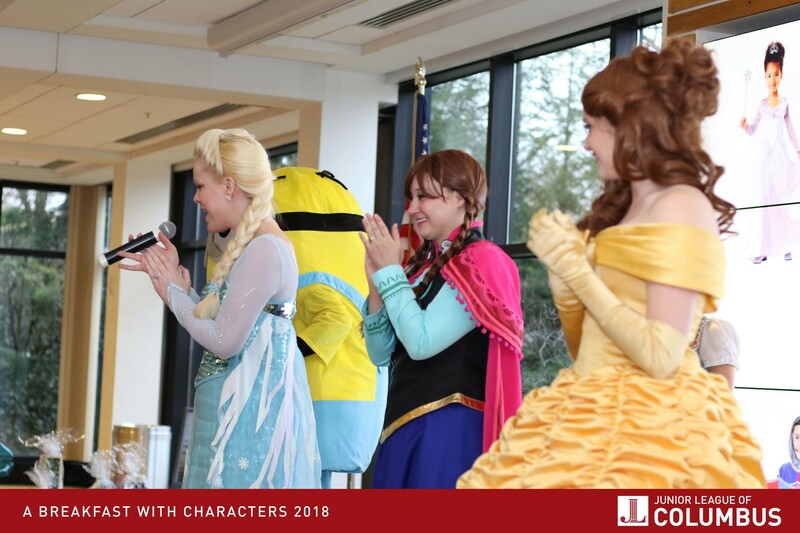 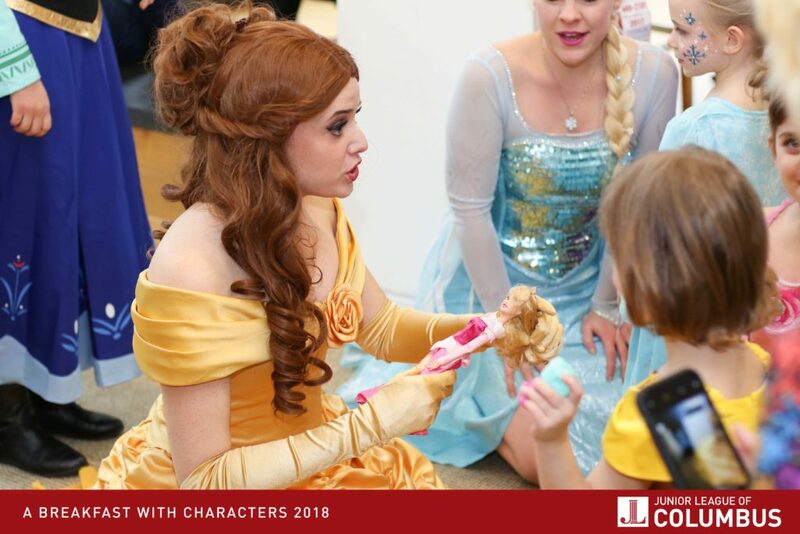 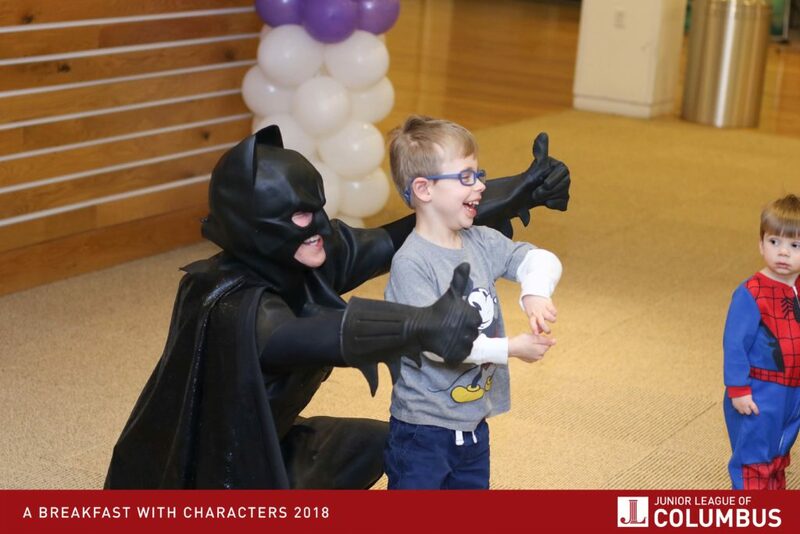 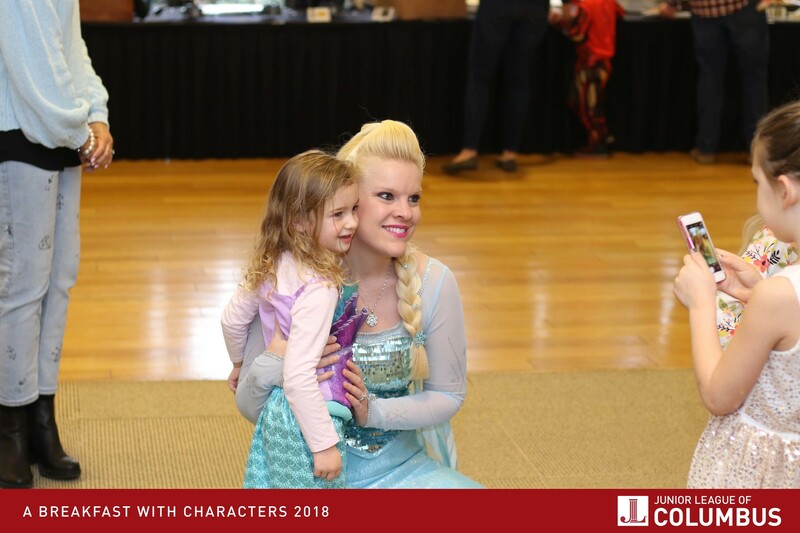 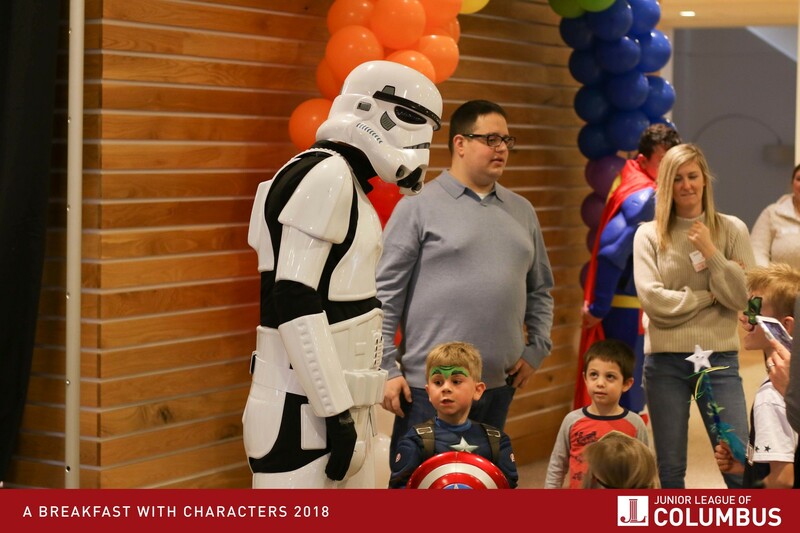 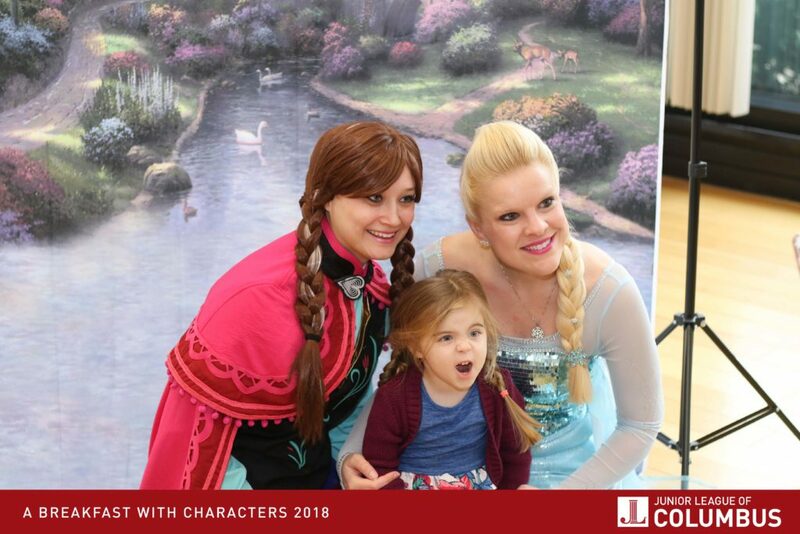 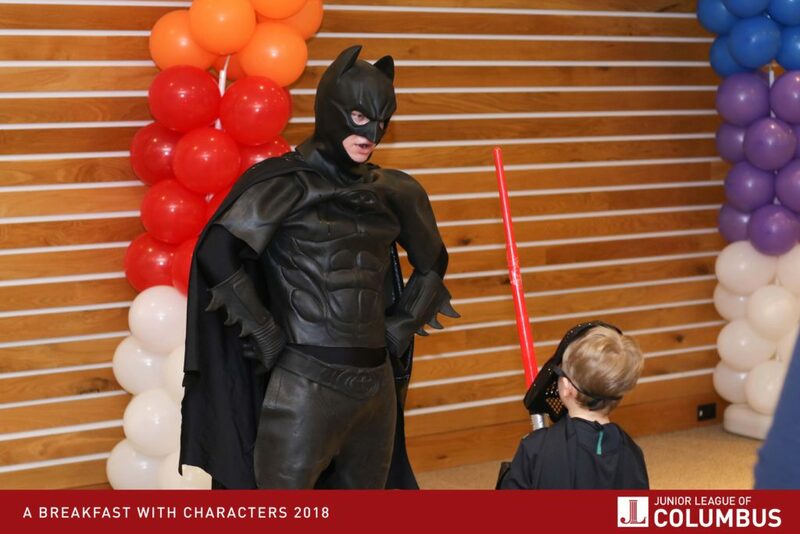 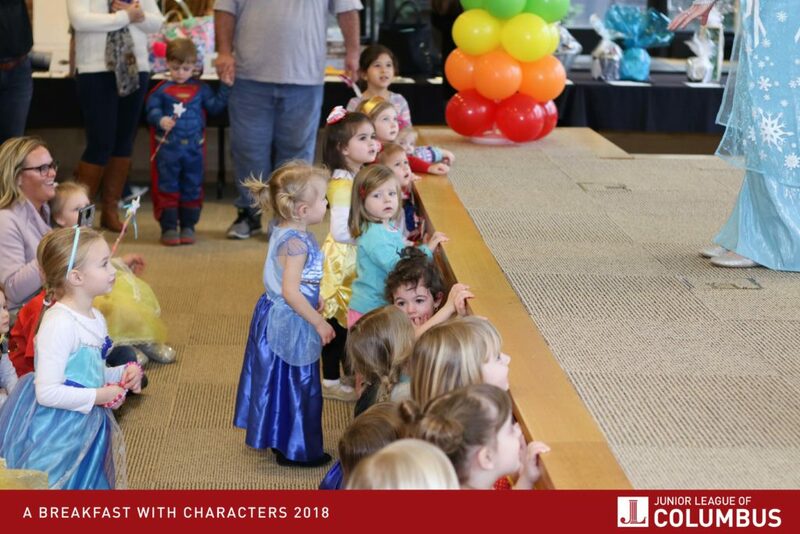 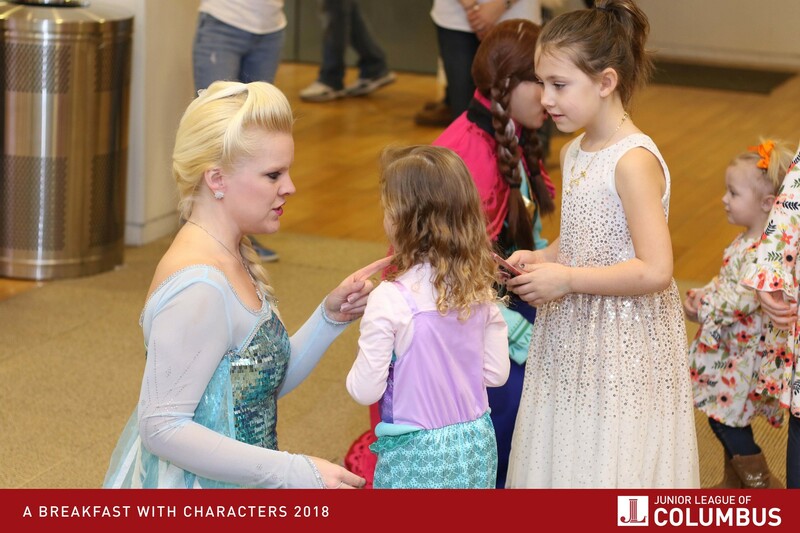 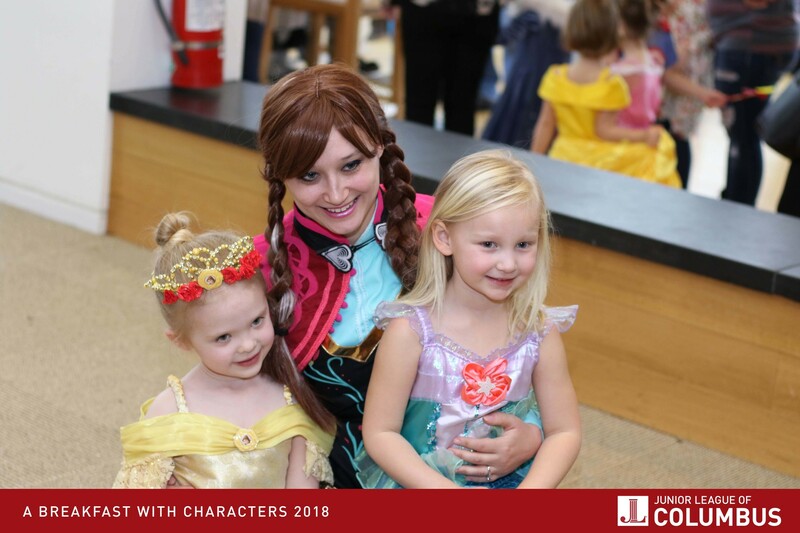 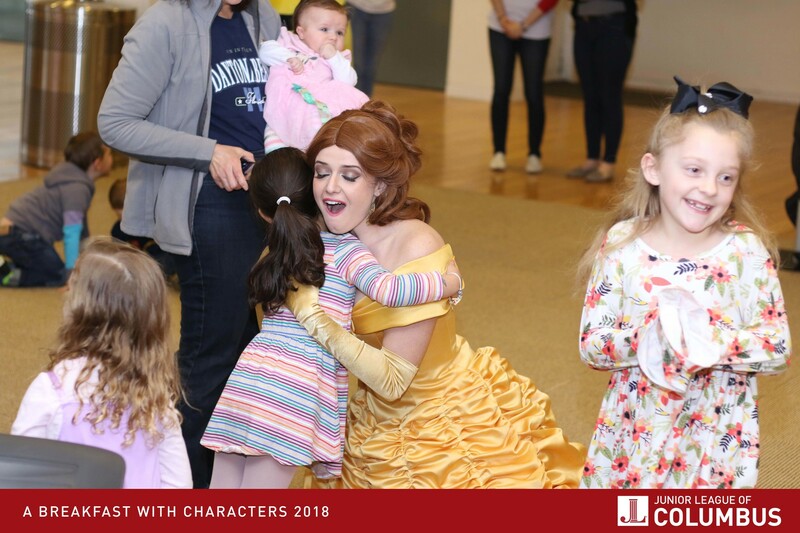 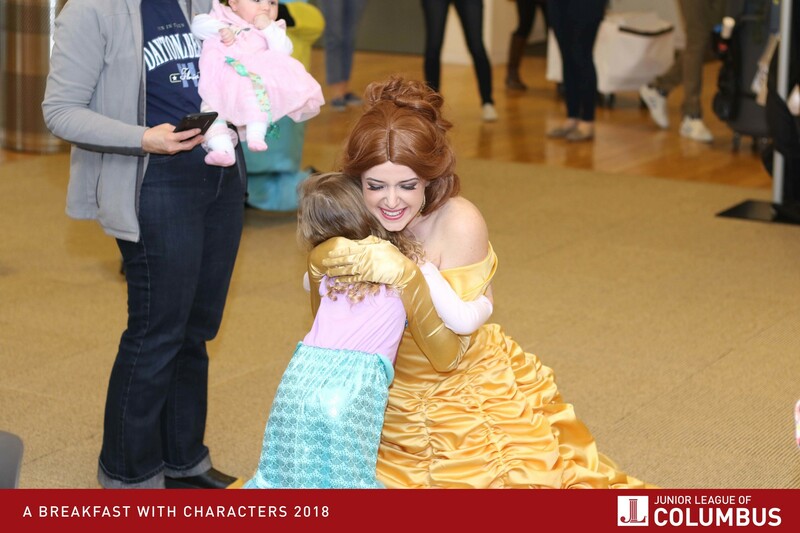 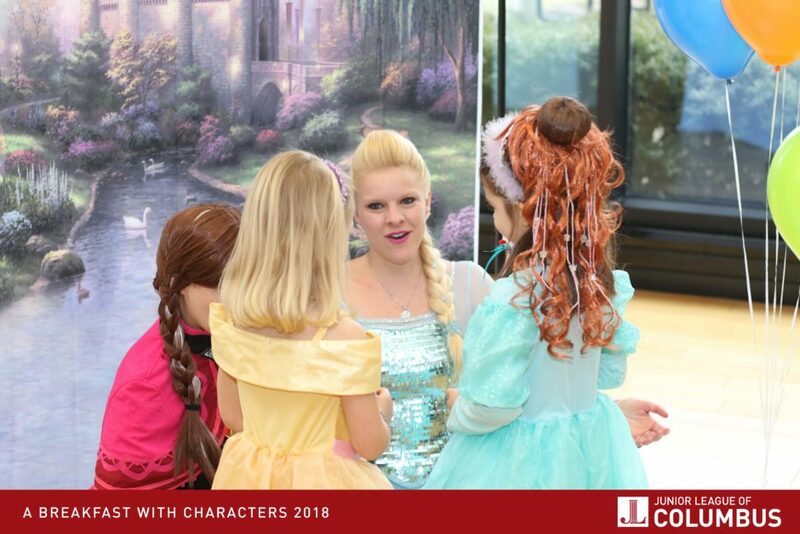 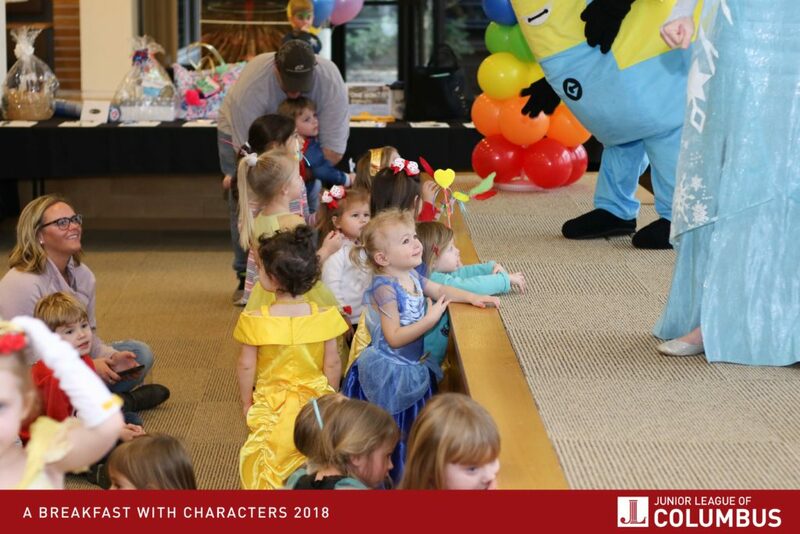 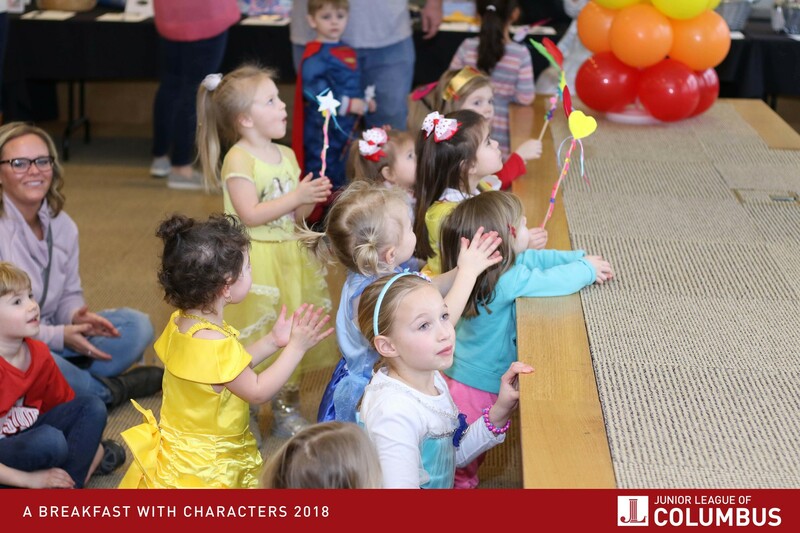 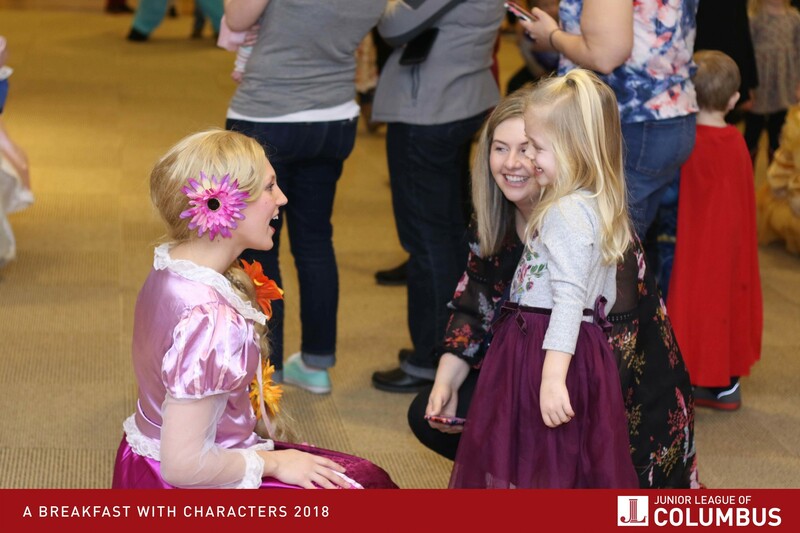 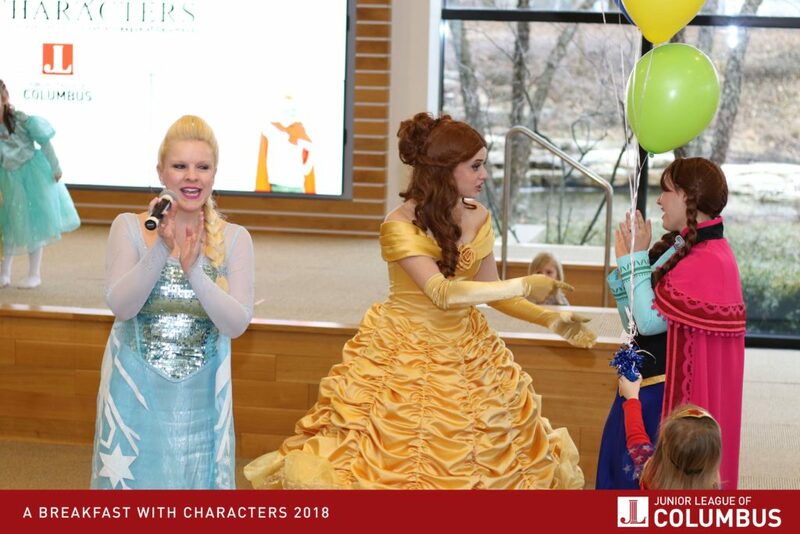 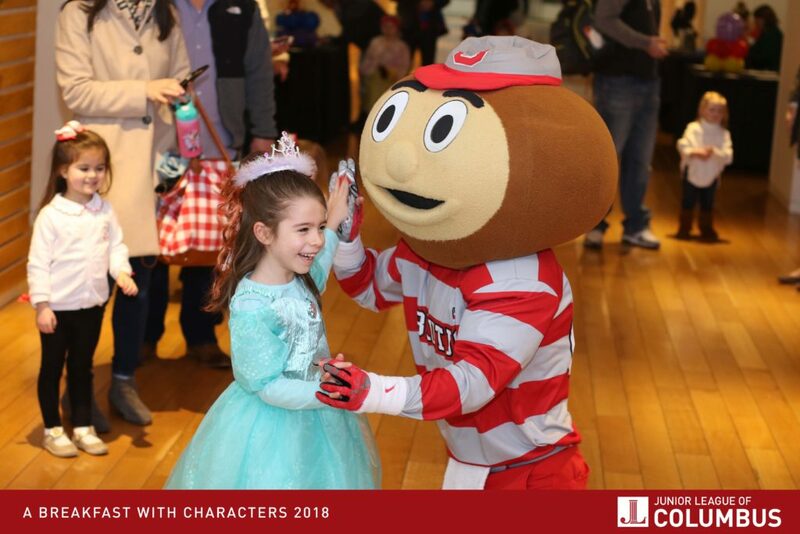 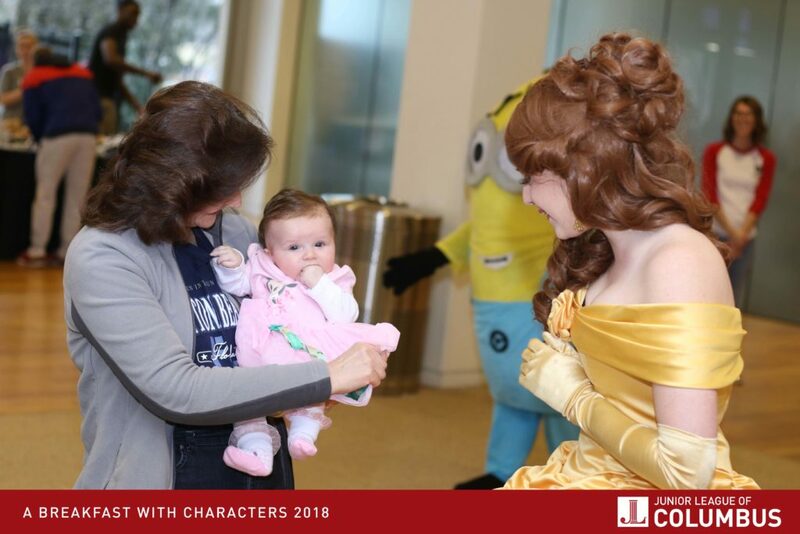 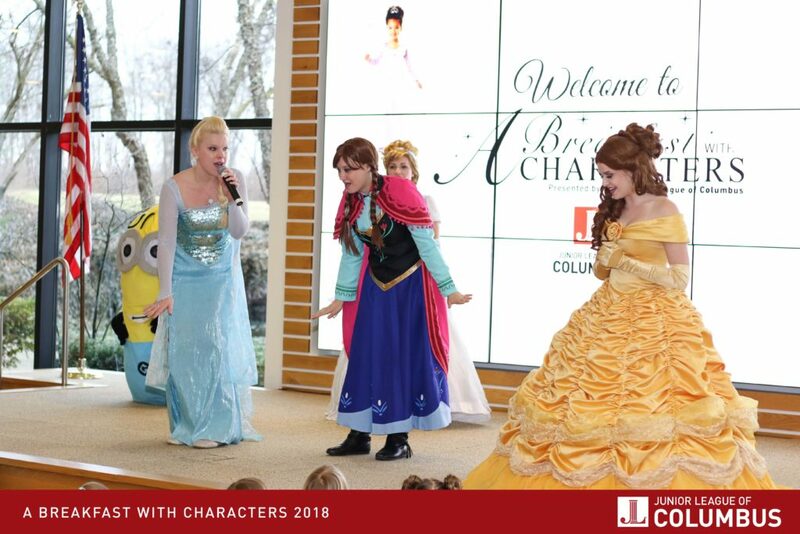 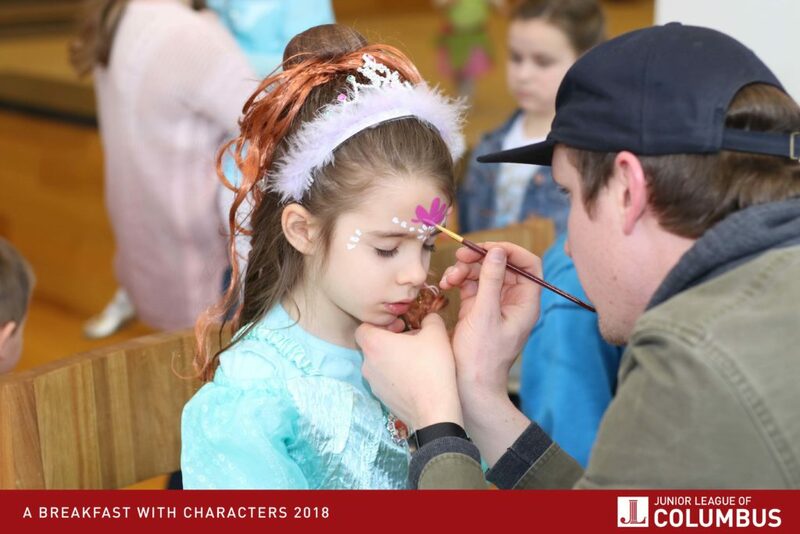 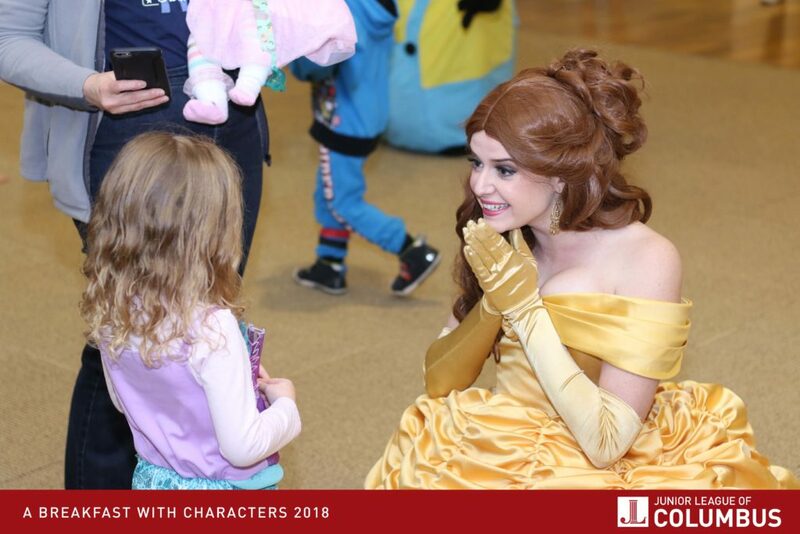 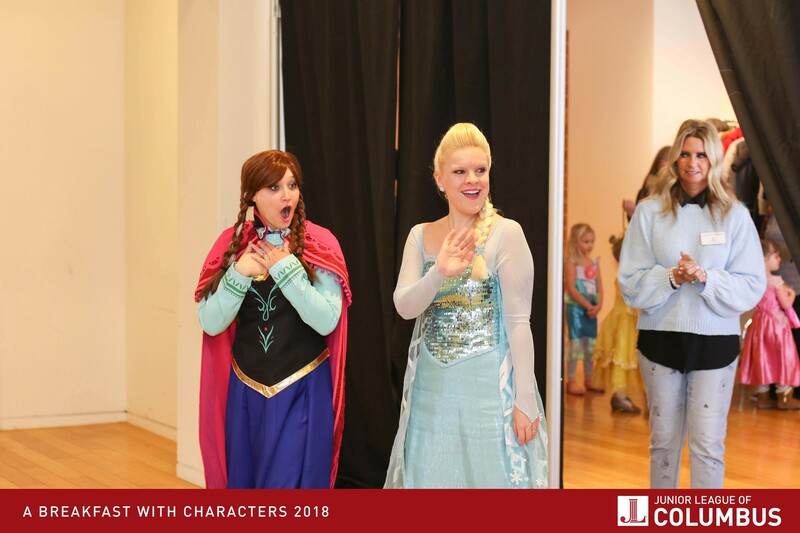 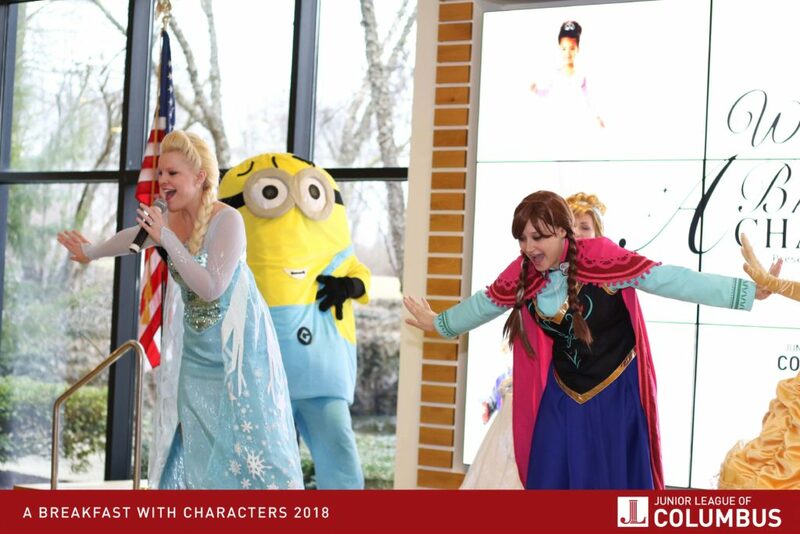 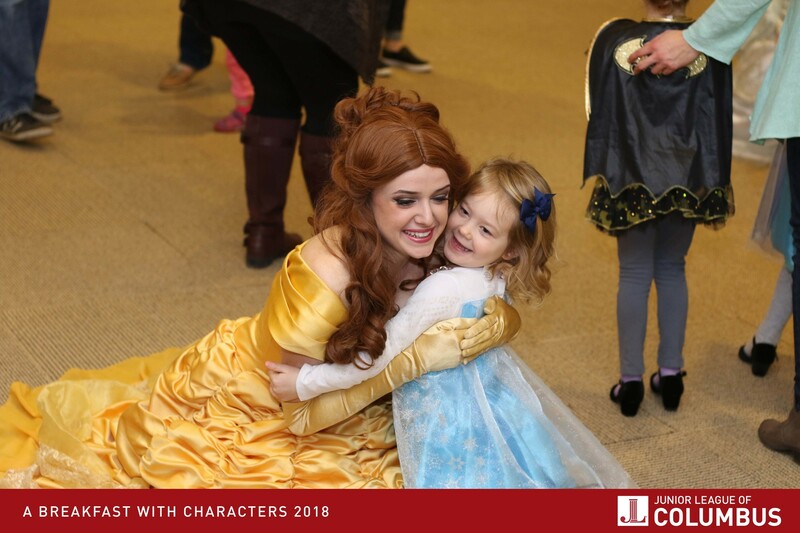 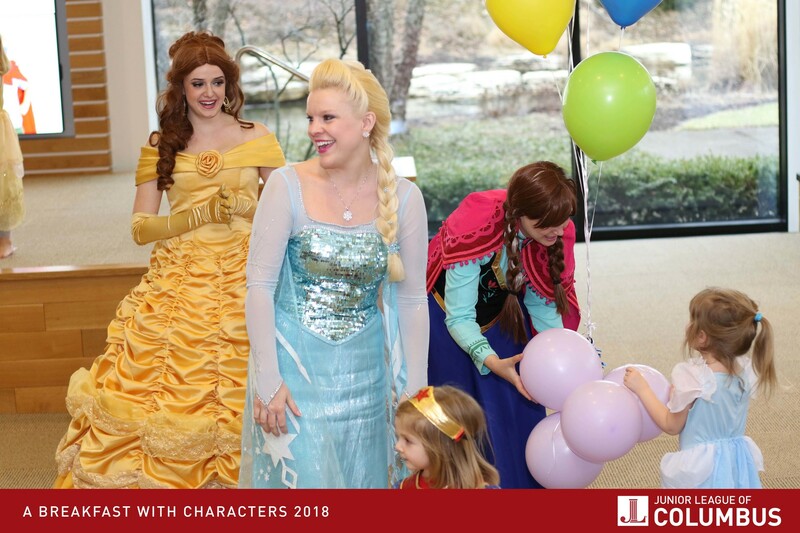 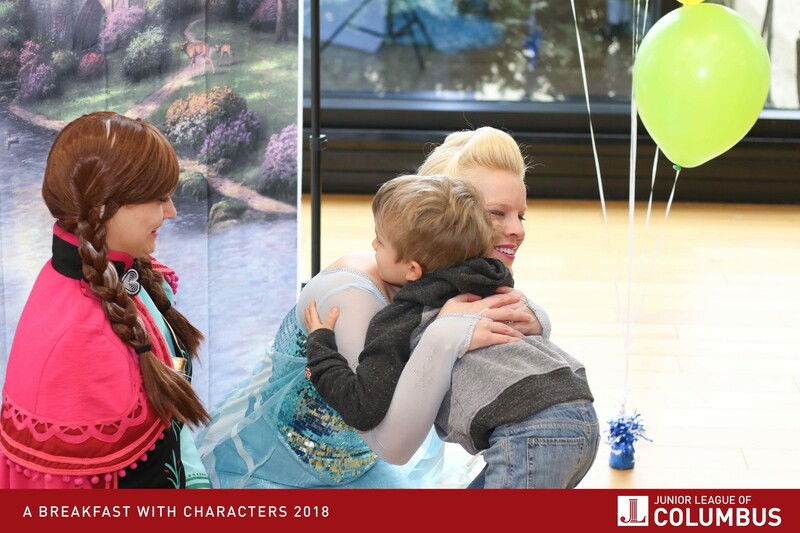 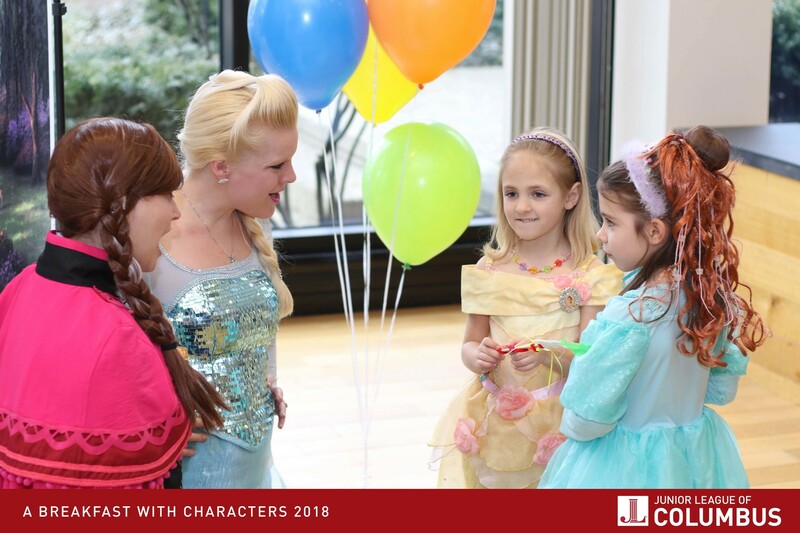 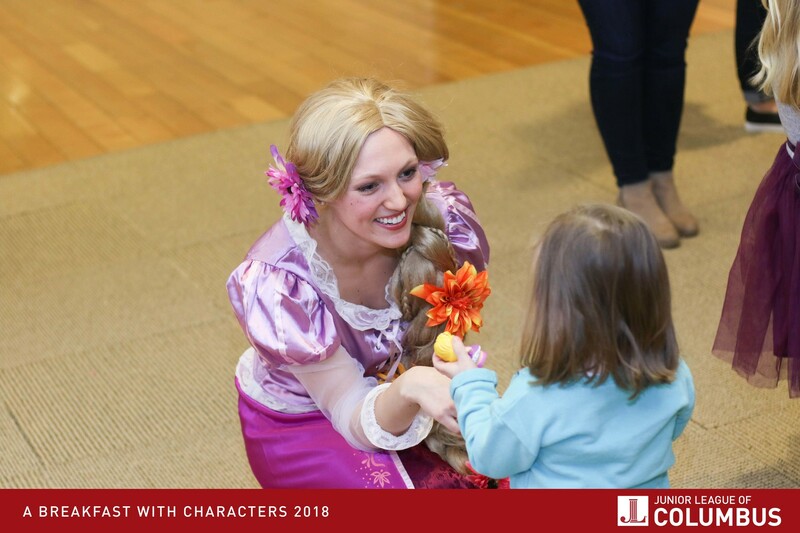 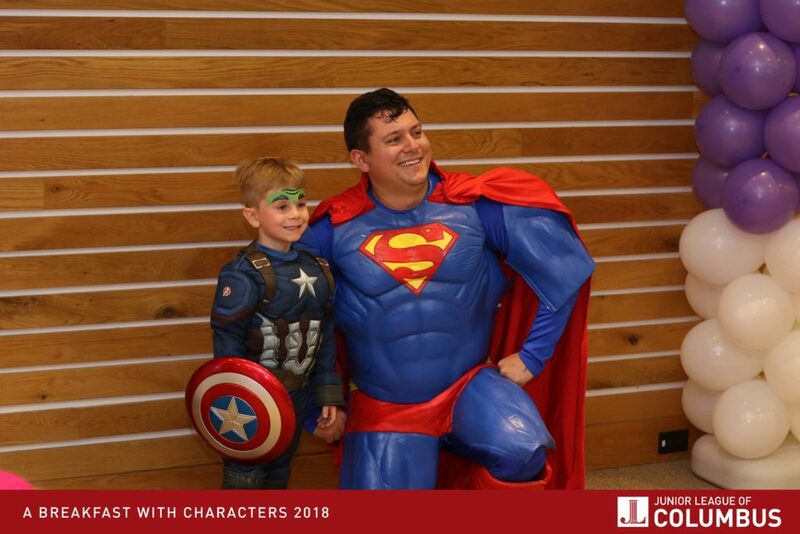 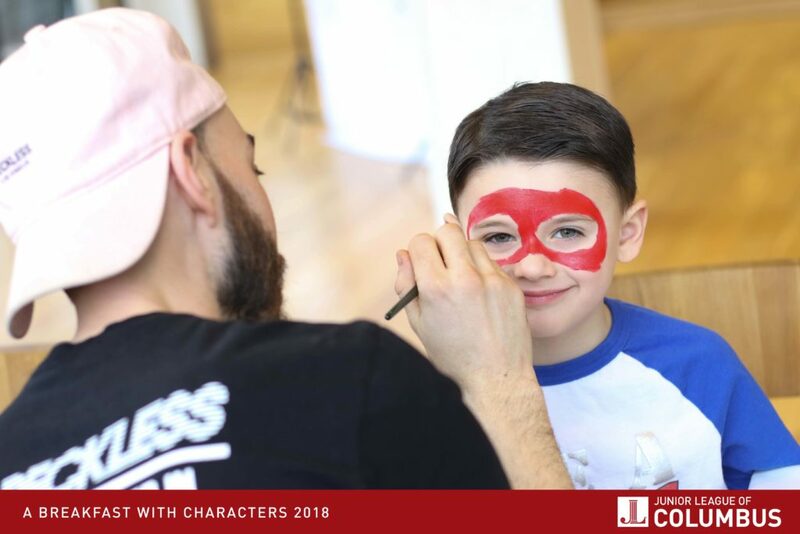 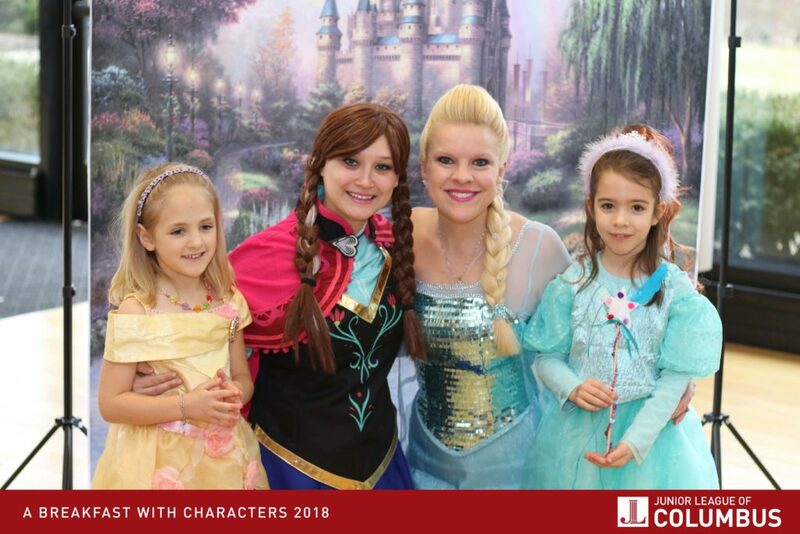 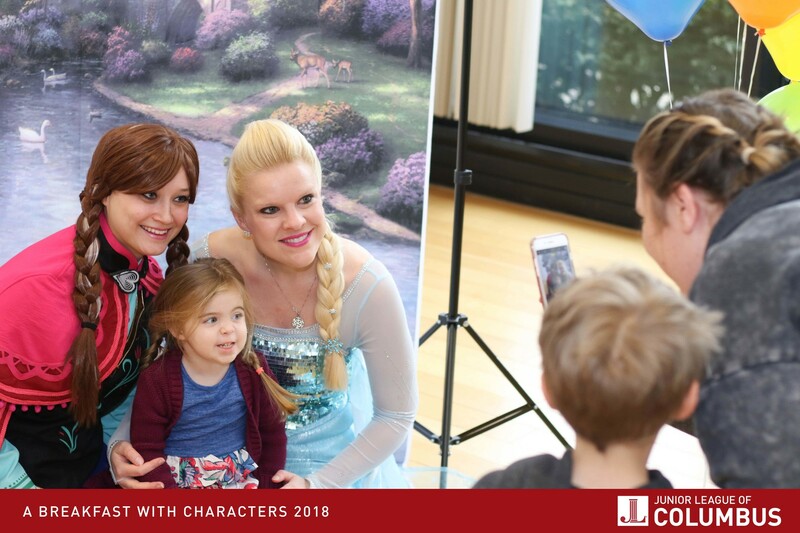 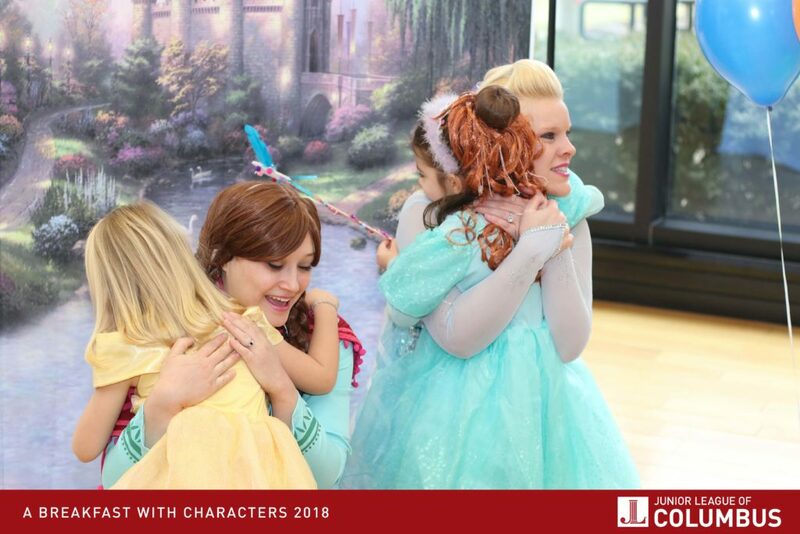 Over 200 guests were welcomed by a host of hero’s, villains, princesses and a very special Buckeye as they mixed and mingled their way through a morning of adventure and entertainment. 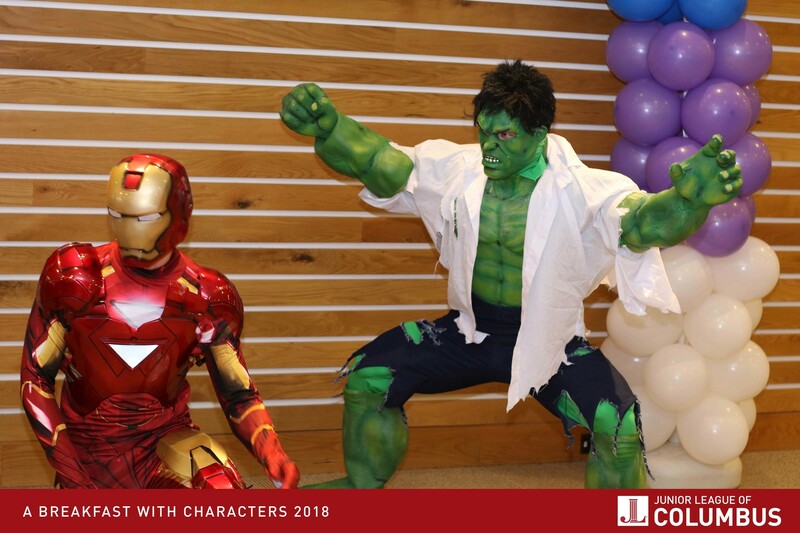 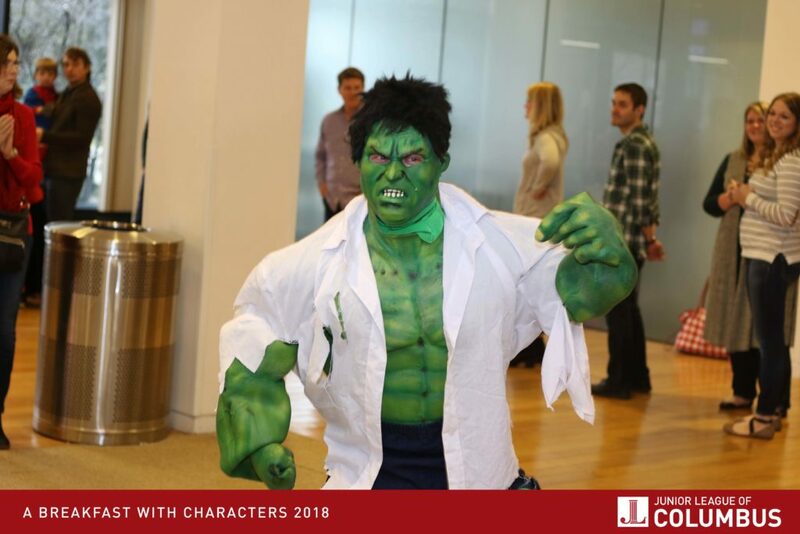 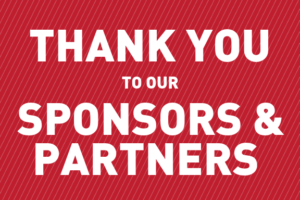 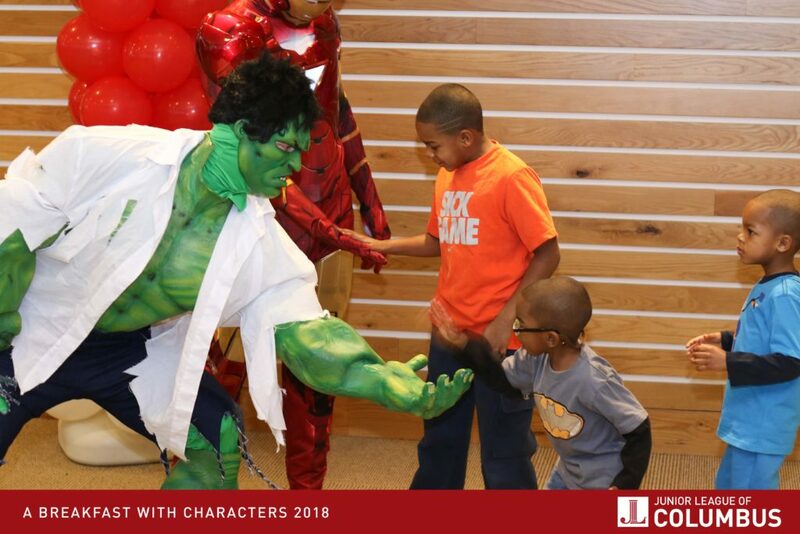 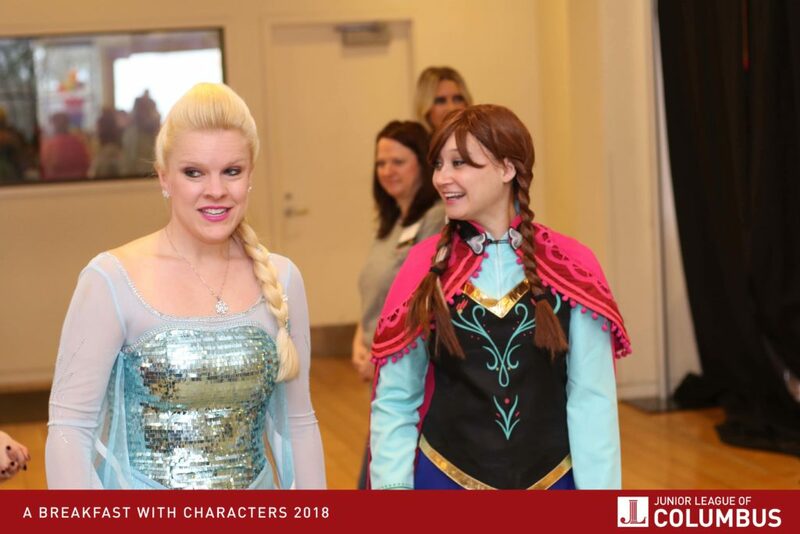 This year’s event saw the return of Junior League partners, Amy’s Princess Parties and The Mascot organization who once again provided their time and talent to make the event a ‘hulk’ smashing success. 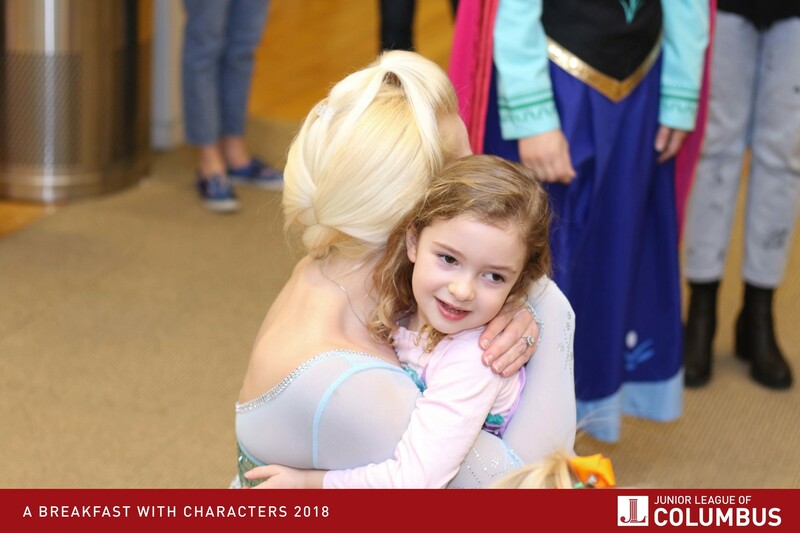 Princess Elsa herself was there to perform a crowd favorite musical number. 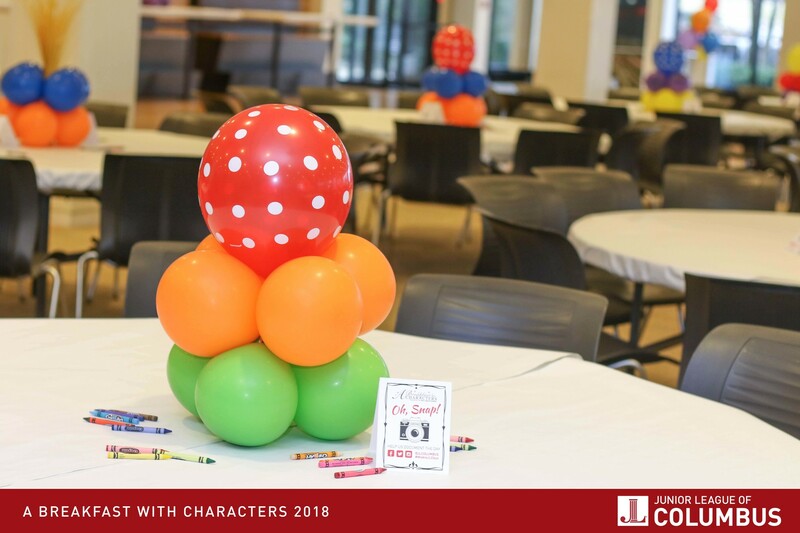 Brandi, with Silver Confections, gave the space a pop, with her balloon designs located throughout the venue. A craft table was manned by our dedicated volunteers, so our smaller guests could design their own bit of magic in the form of a wand, and a silent auction spread was curated with our adult cohort in mind to include a selection of fitness, fashion and locally sourced items for the bidding. 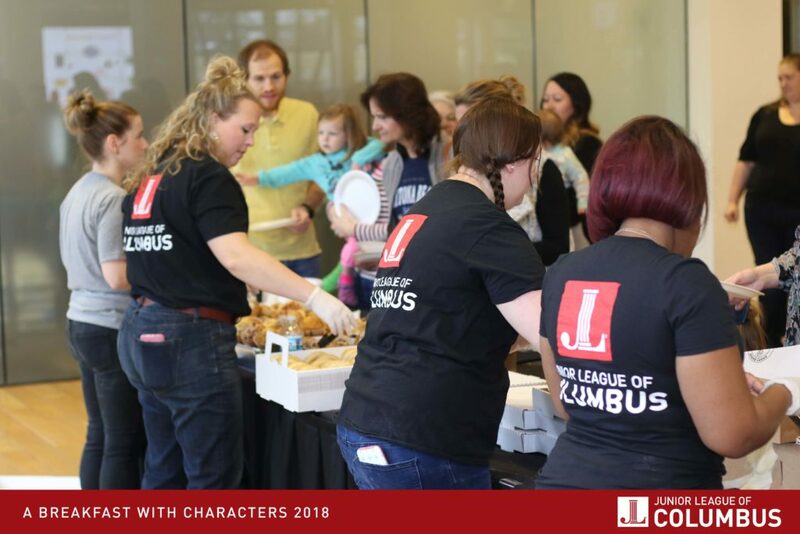 Throughout the morning, guests feasted on a breakfast buffet generously provided by a mixture of Columbus area go-to spots. 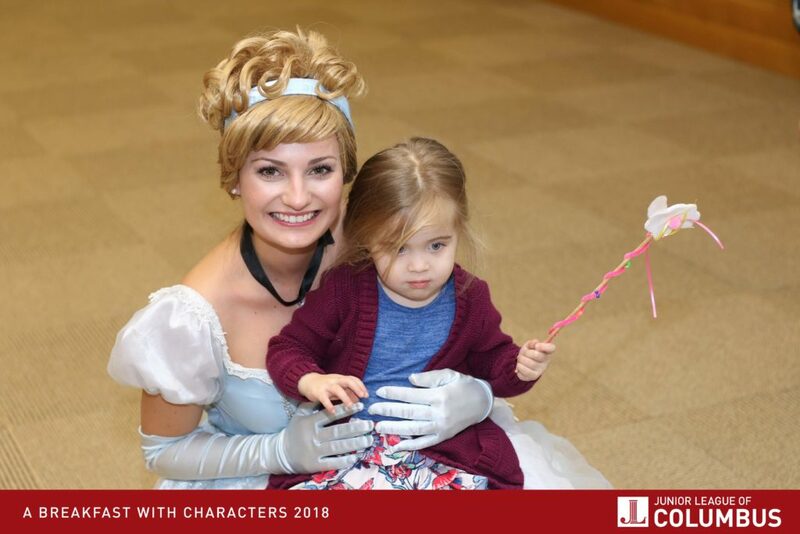 In total the morning was magical, all while providing for a wonderful cause. 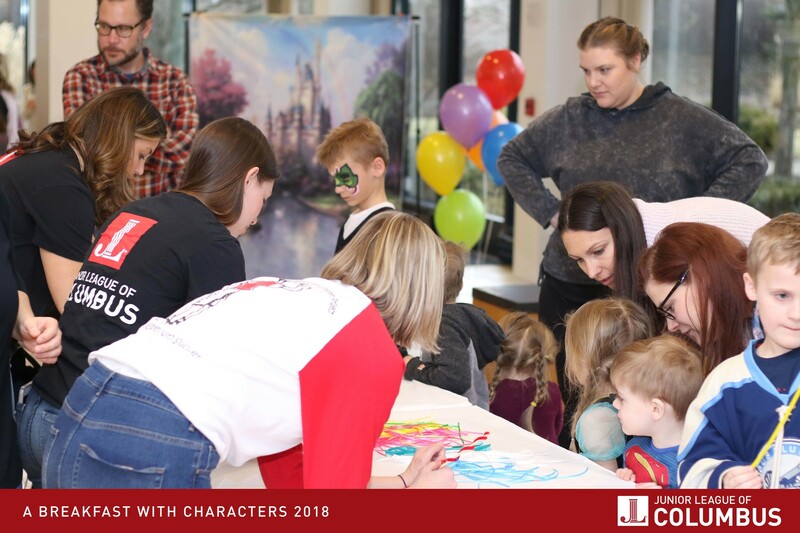 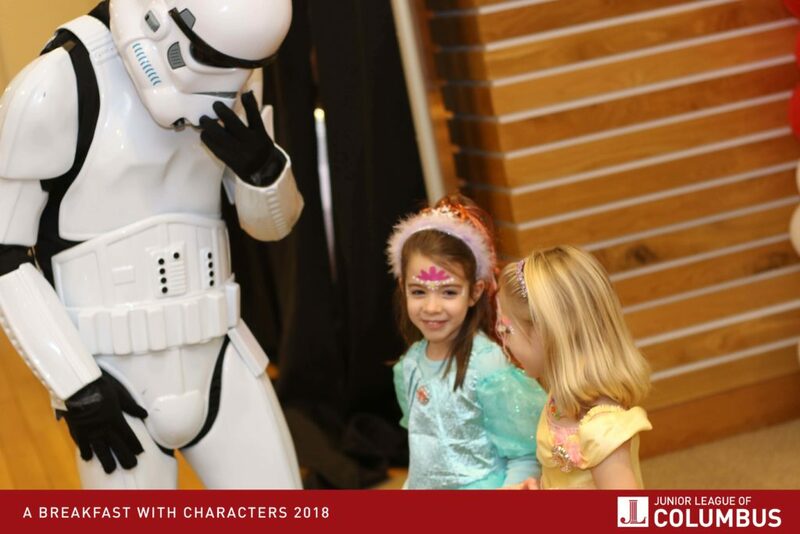 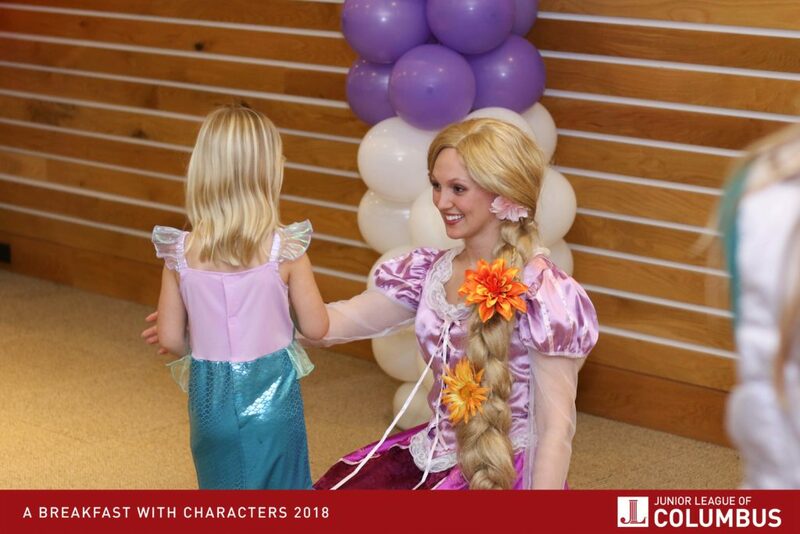 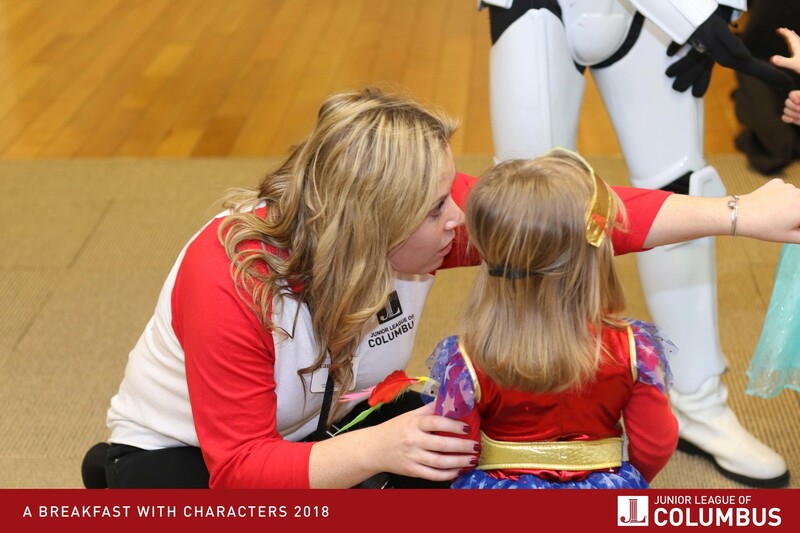 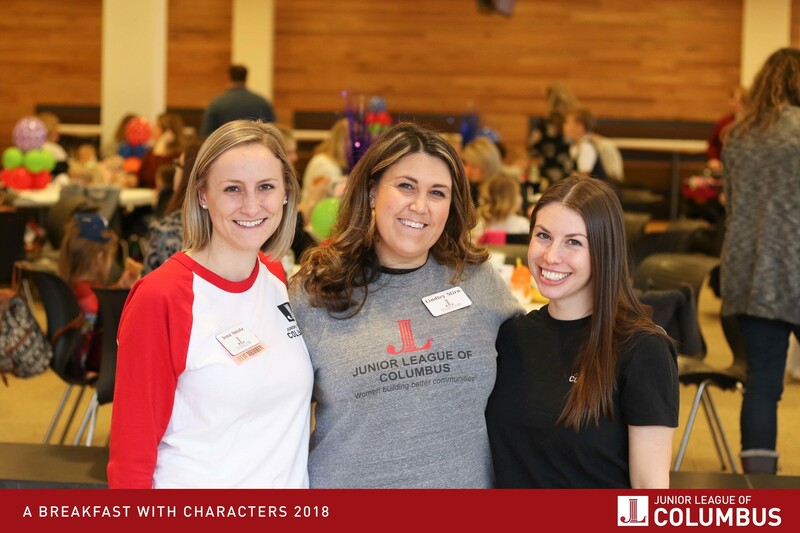 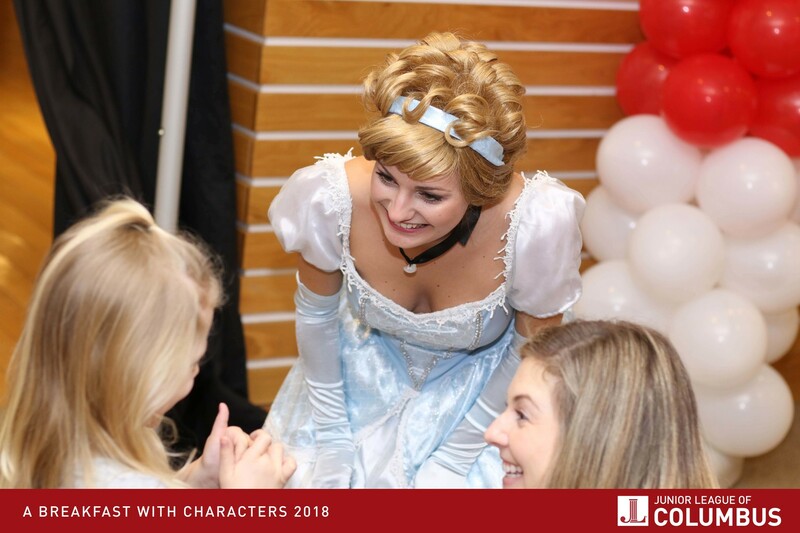 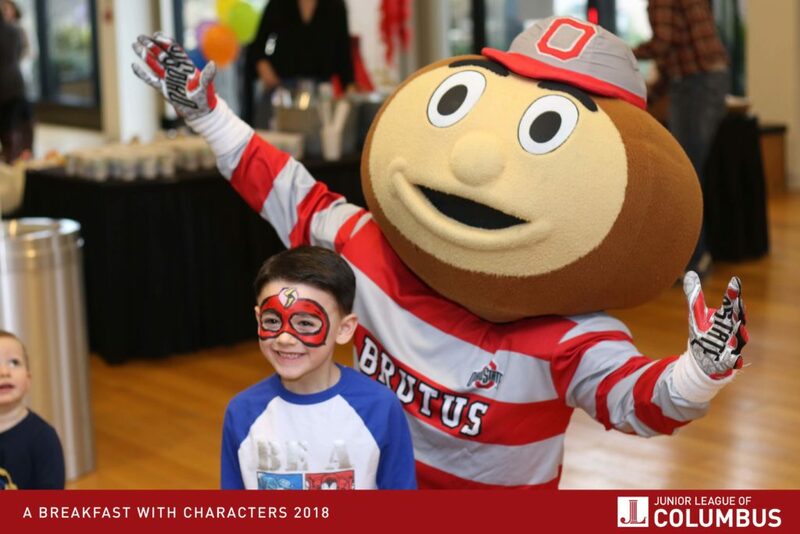 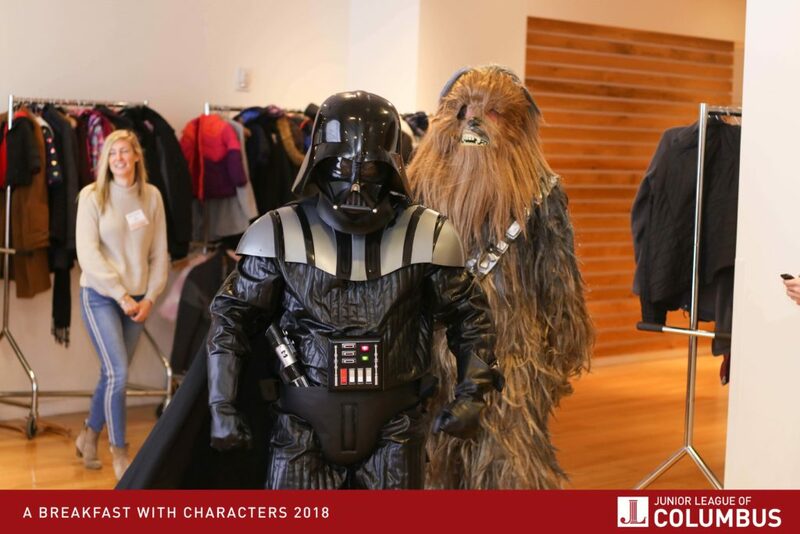 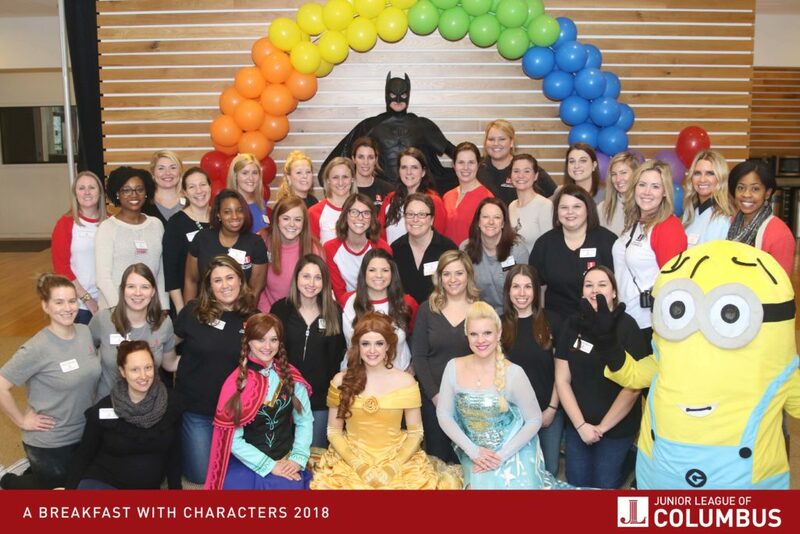 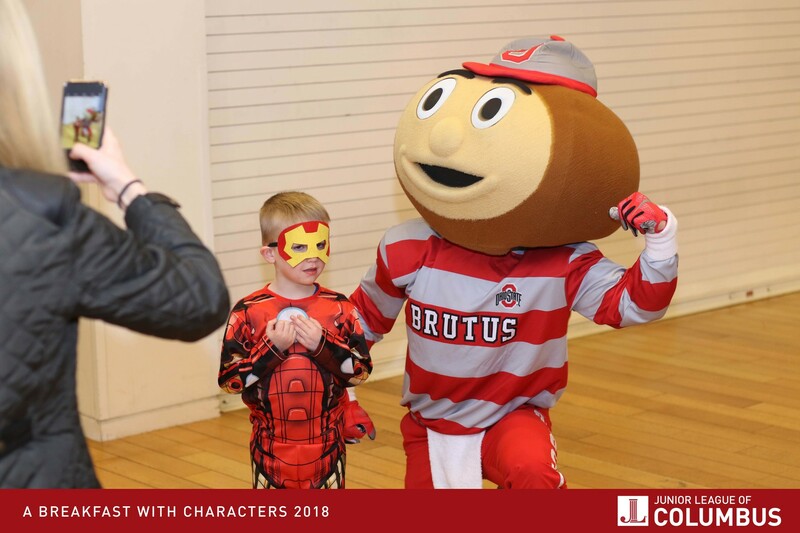 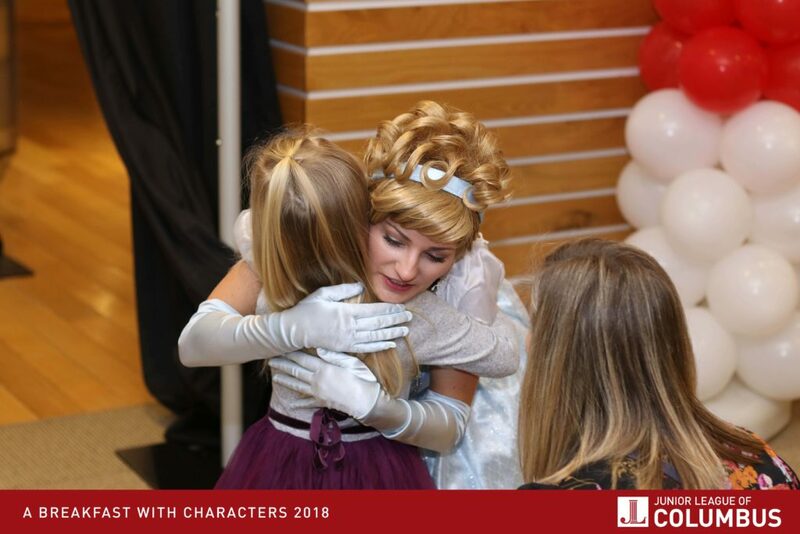 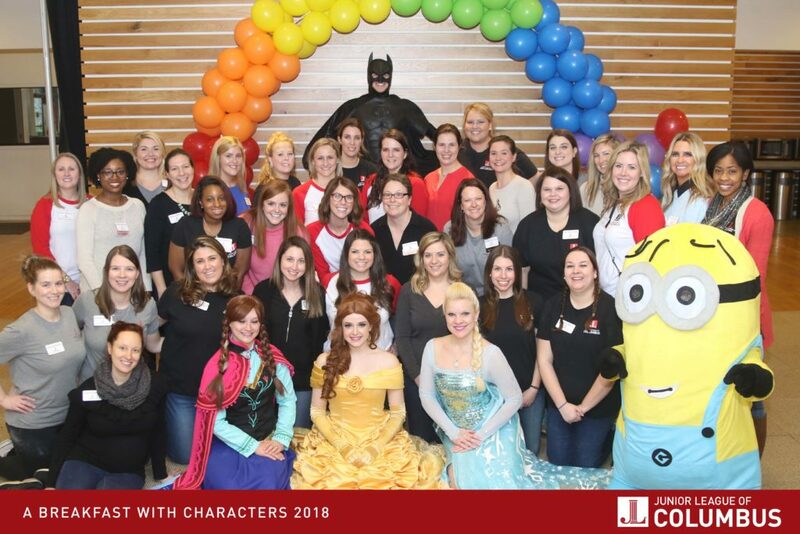 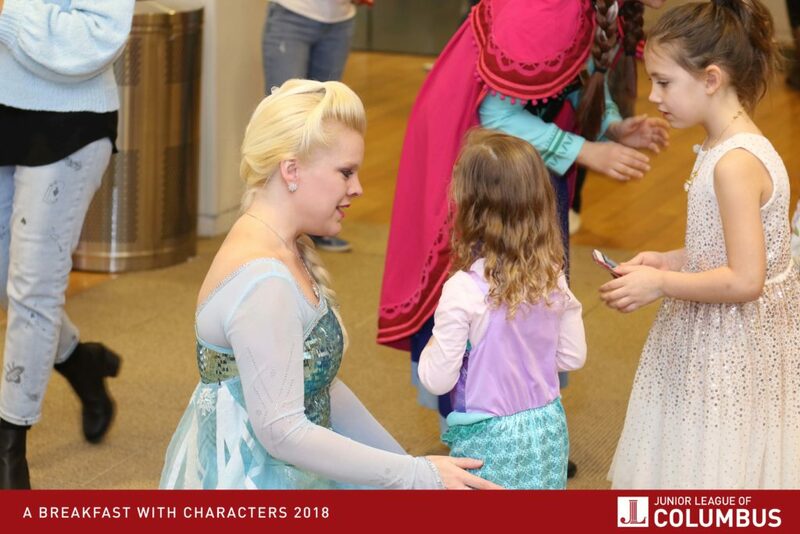 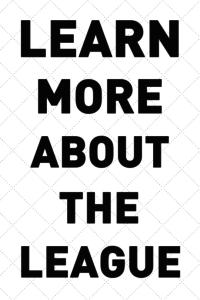 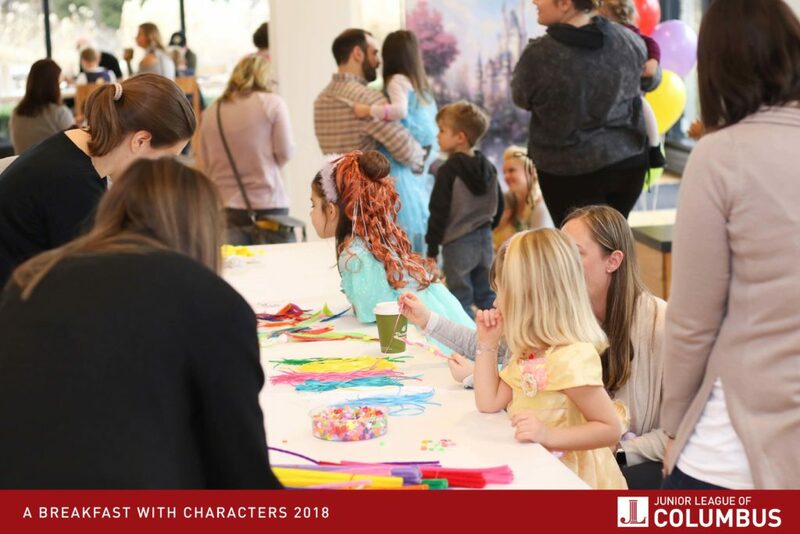 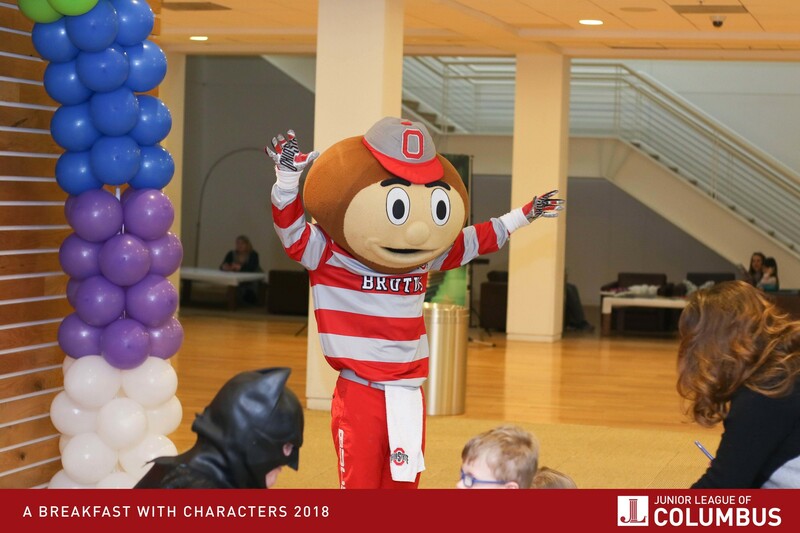 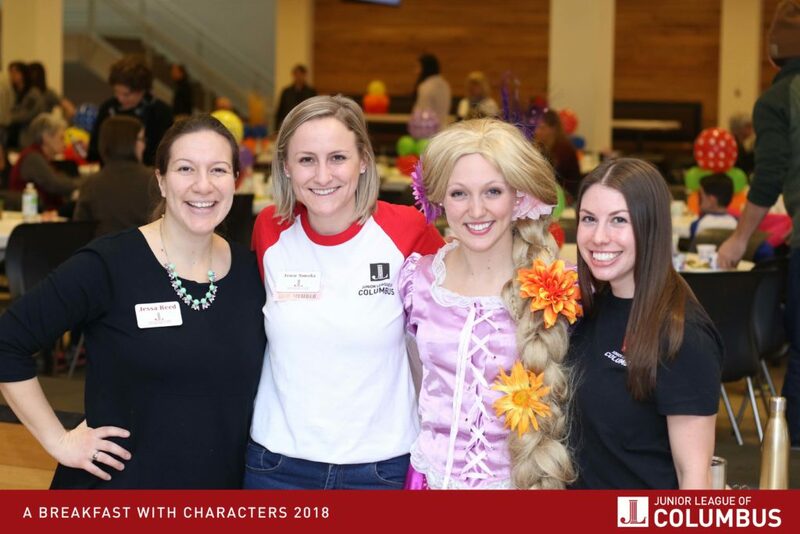 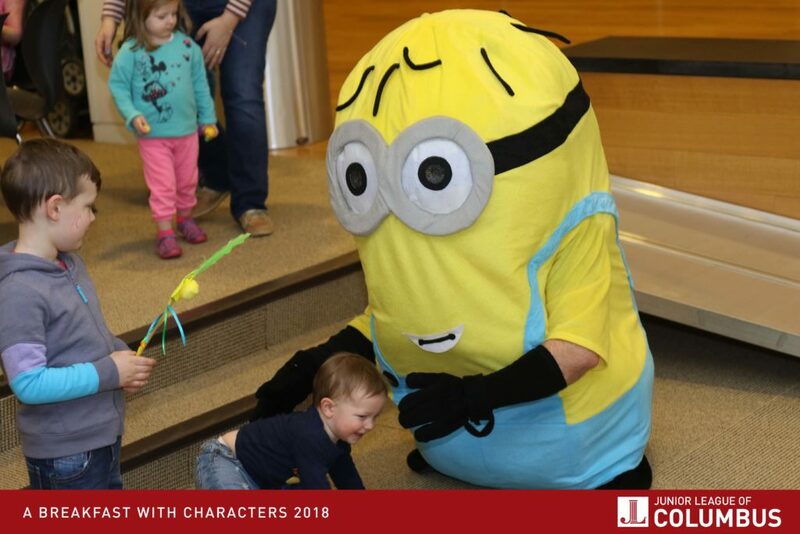 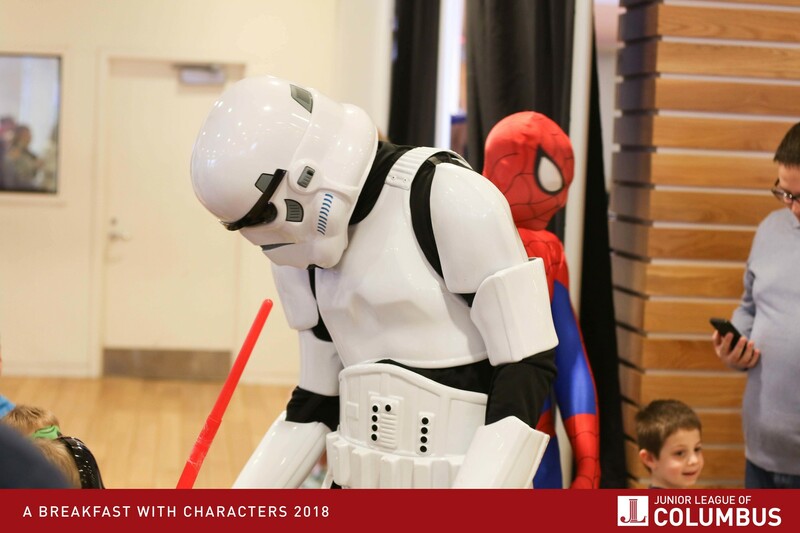 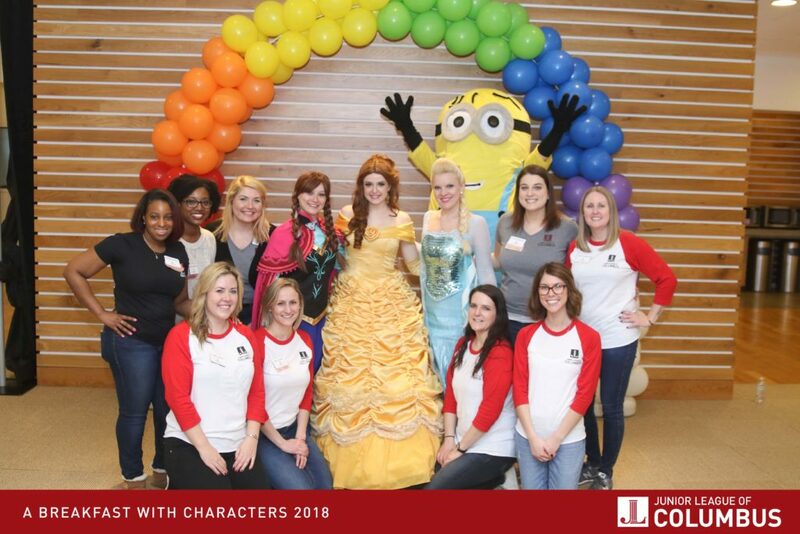 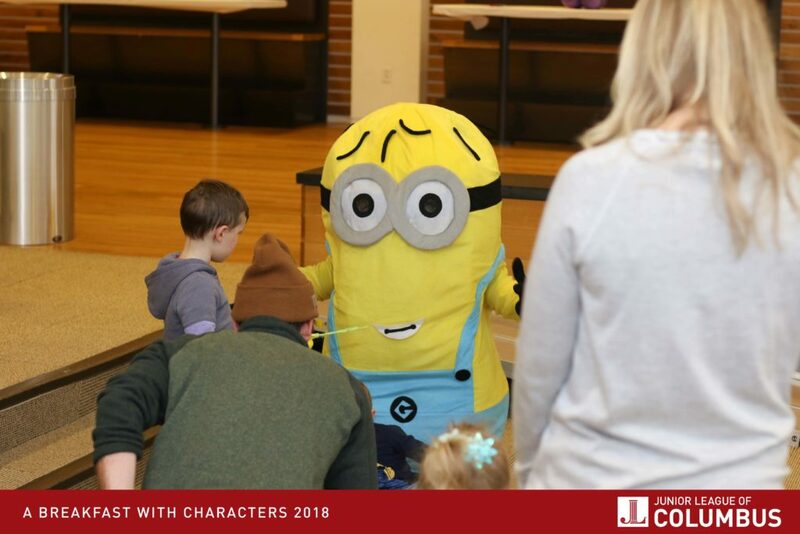 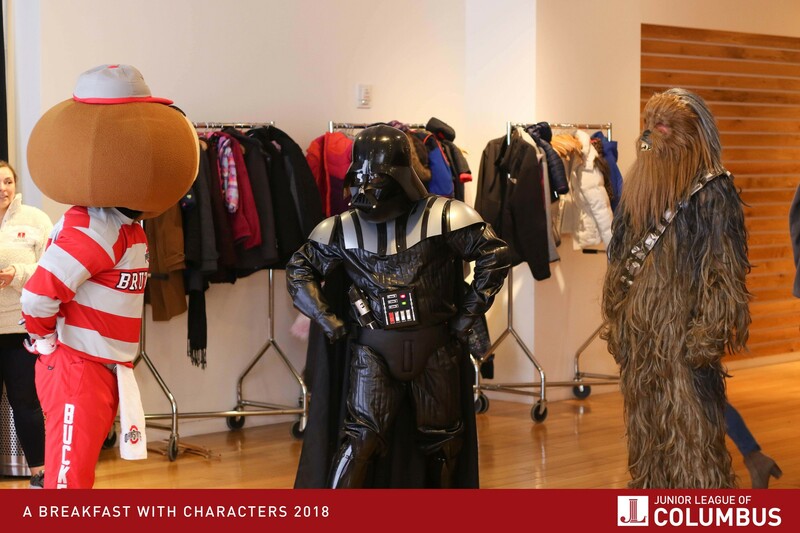 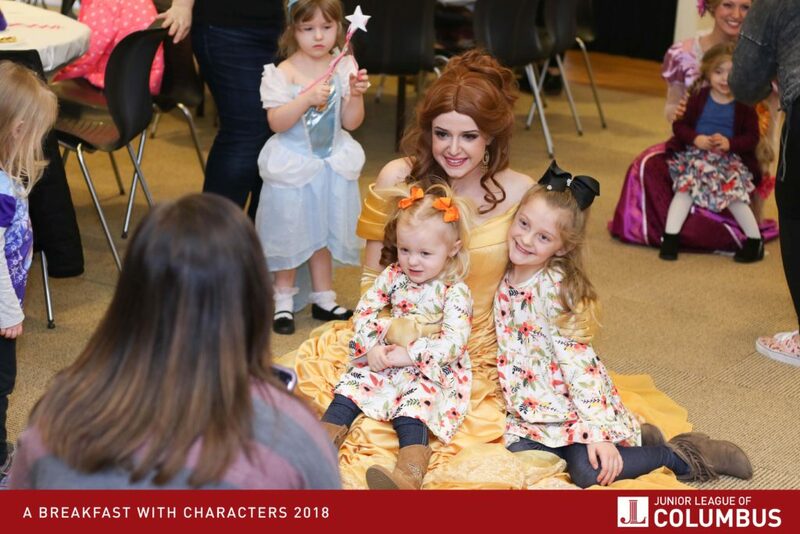 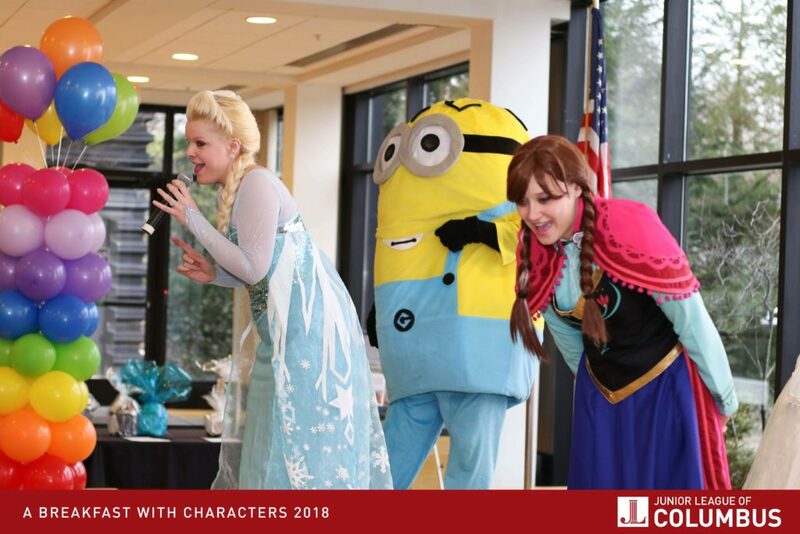 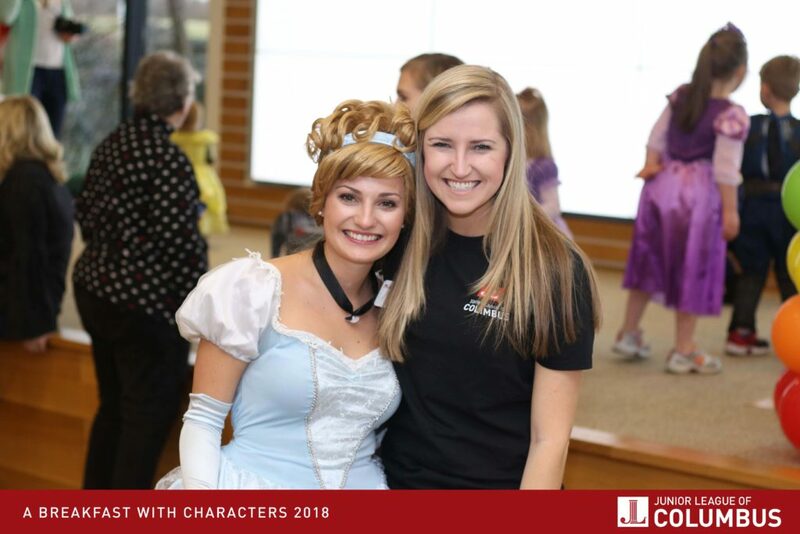 A Breakfast with Characters raised over $5,000 and helped fund the Junior League’s annual backpack distribution for students grades K-3rd in Central Ohio.